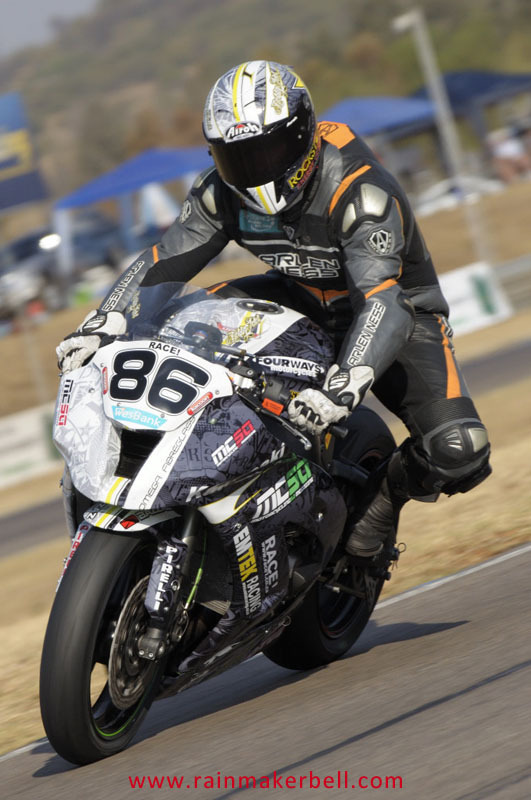 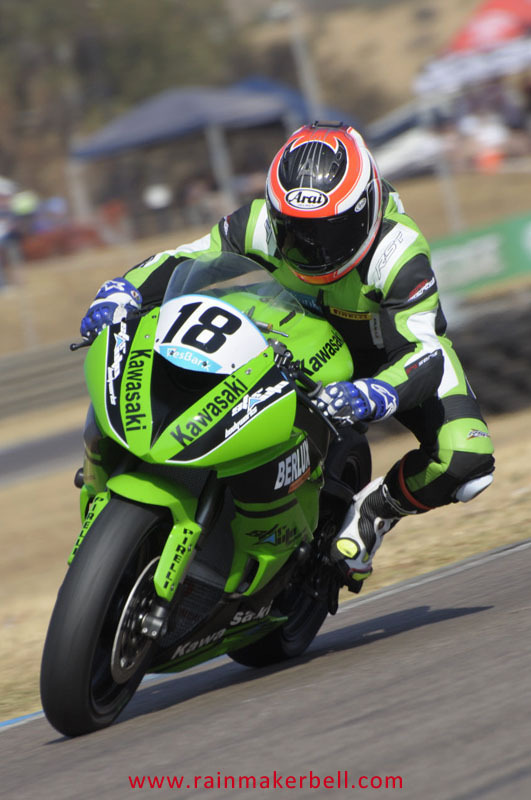 Three days before the Wesbank Super Series (22 August), Chris Leeson #99 (straddling a Ducati 1199 Panigale S) tweeted about his new race suit. 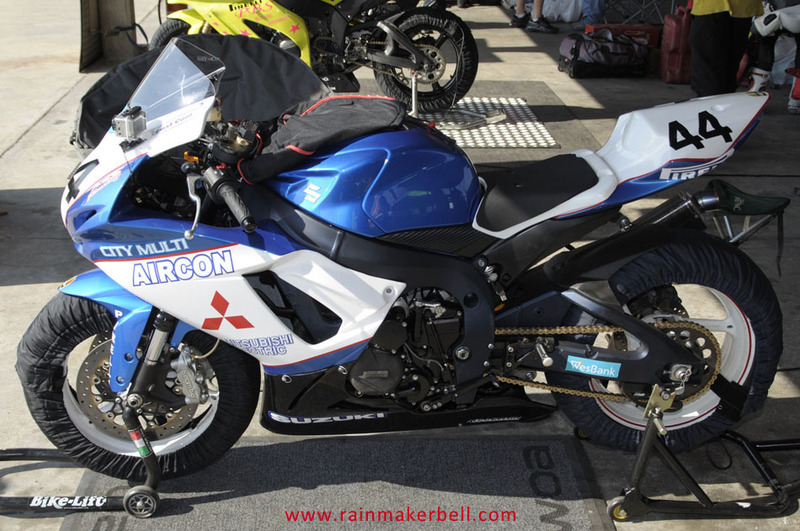 I went out to see what it looked like. 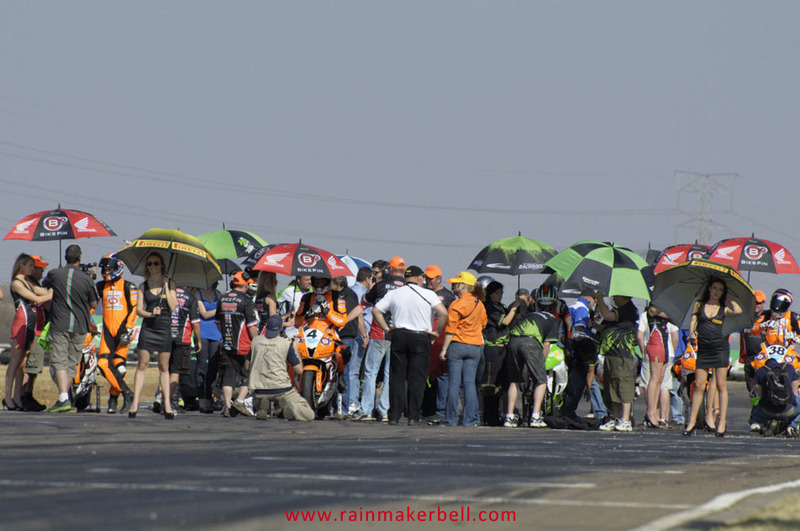 On the north side of the Zwartkops main pit complex, the Ducati motorcycle race team were populating their race garage. 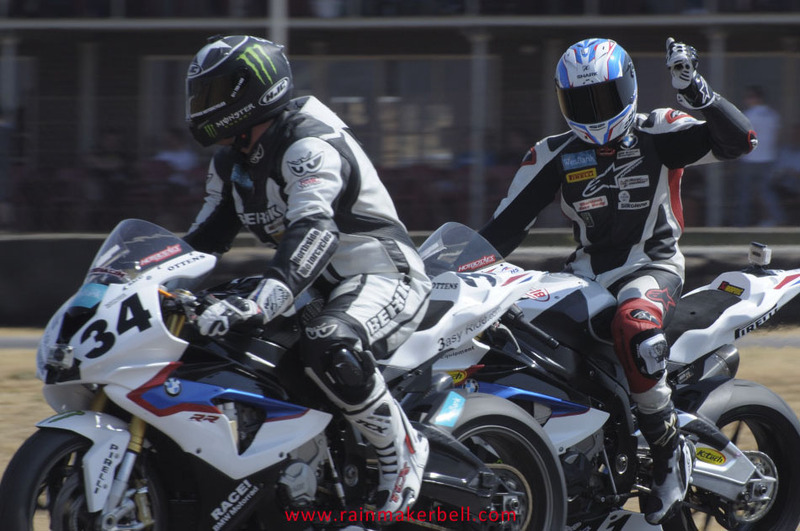 Passers-by turned their heads, appreciating the garage’s appearance. 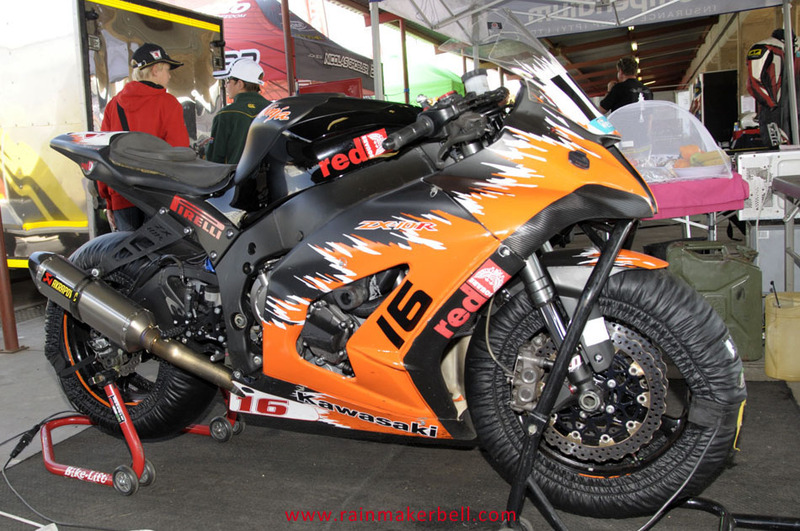 The Ducati race garage emitted a sense of professionalism. 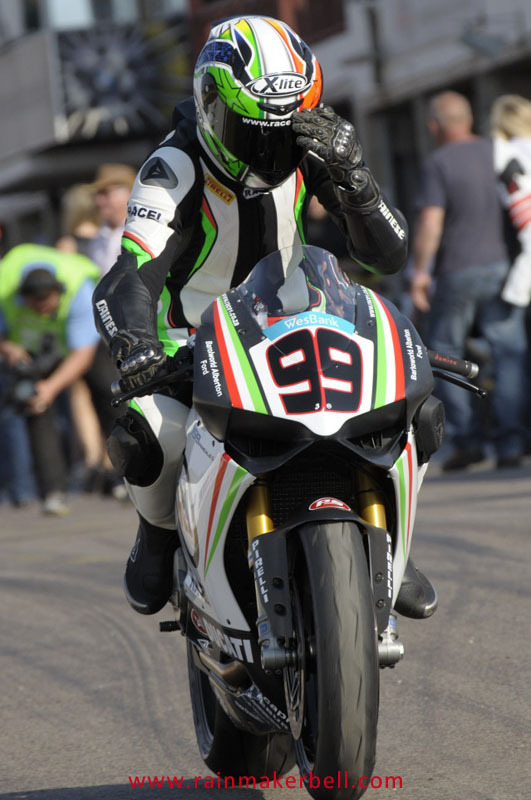 Marco Casciani can be very proud of his race team; the Italian aroma hanged heavily in the air. 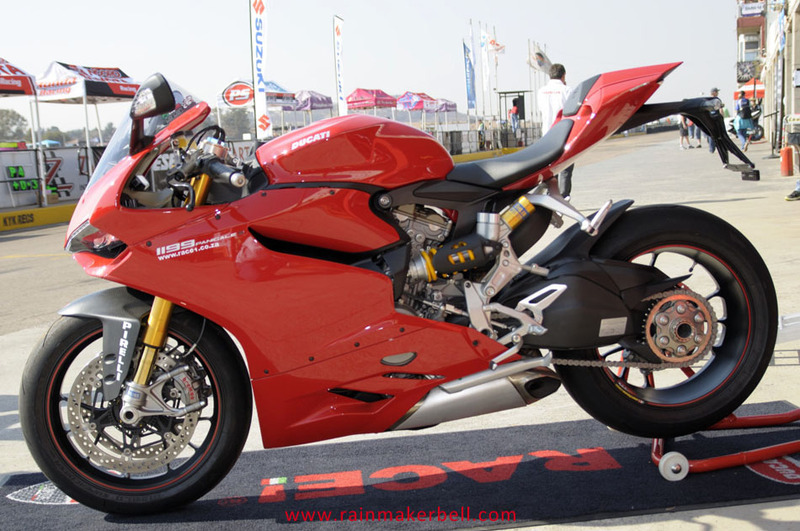 Poised on its motorcycle platform the Ducati Panigale S looked out on the world with a brand new face, (almost smiling at it) ready to wipe the smirk of every other superbike. 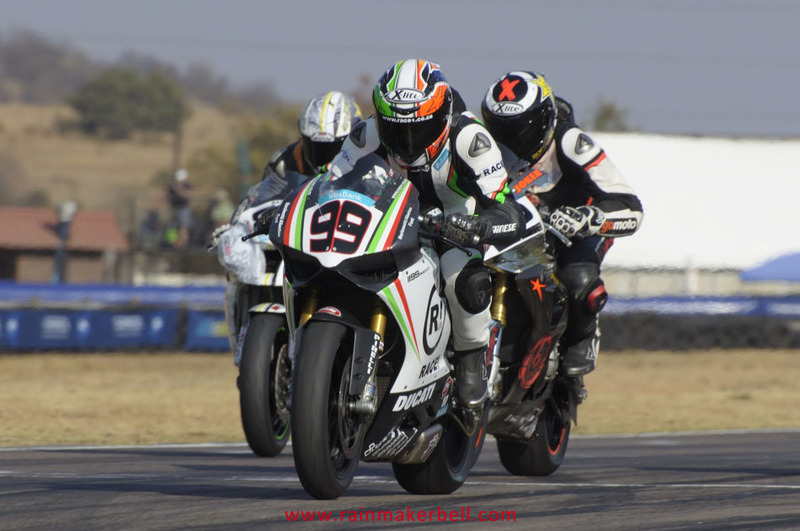 The Marco Casciani Italian Restaurant deserves a Michelin Star opposed to the Race! 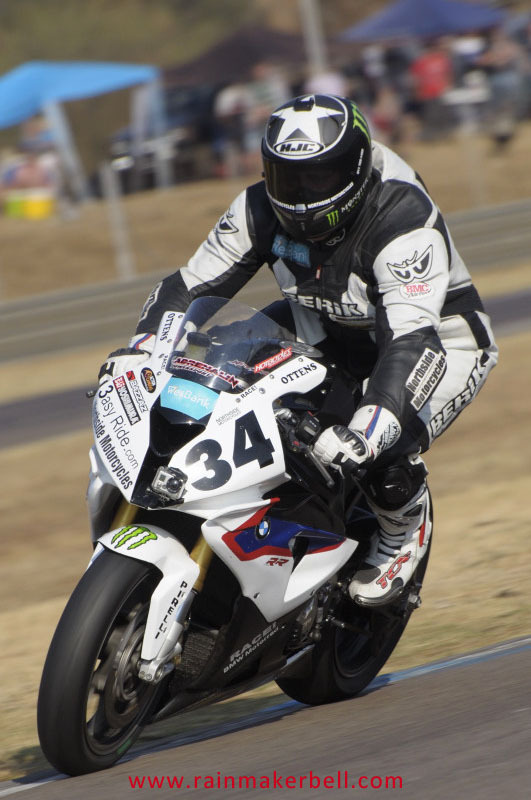 website that is a bit of downer, I would say. 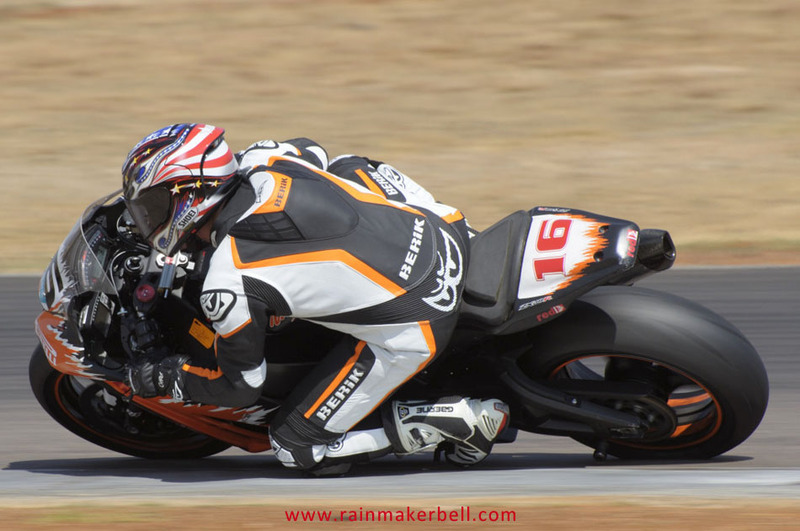 On the surface everything appeared normal; below an ominous current flowed, I felt the heat coming on. 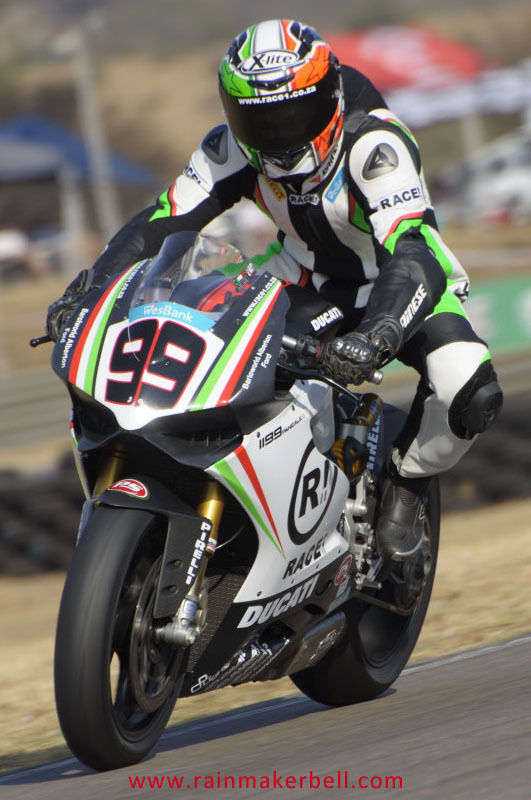 During official practice Friday, I could see (just out of turn two) that the Italian beast was not performing at its best. 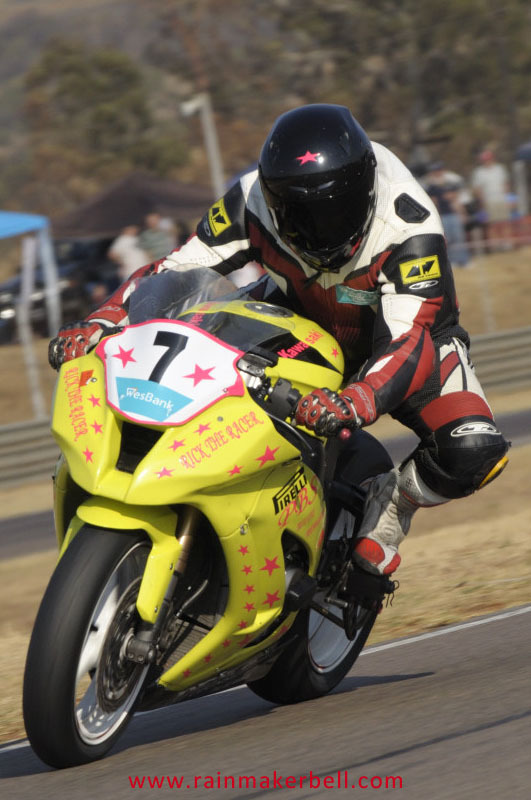 Chris was racing at uncompetitive speeds, as if an invisible force was tethering the Ducati; tapping at its energy. 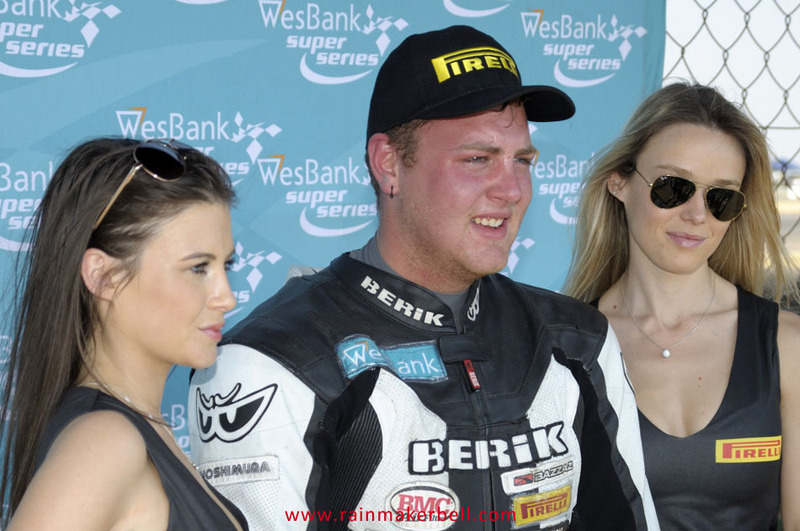 And I wondered why? 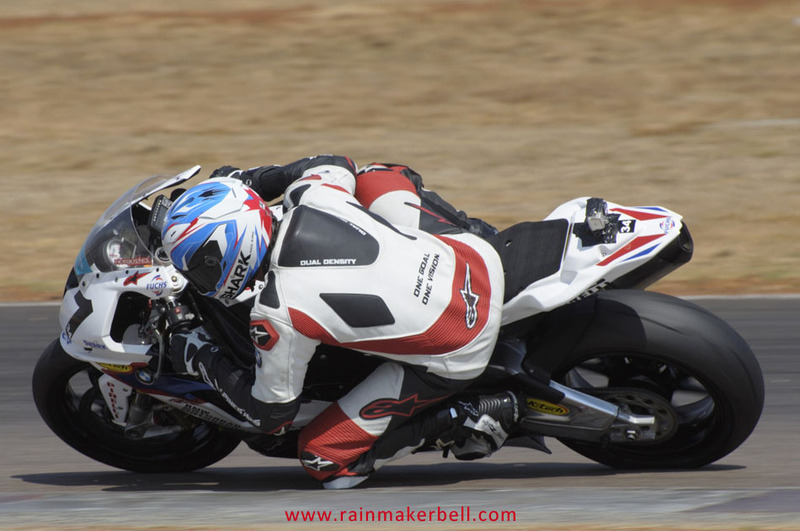 The gradual transformation between winter and summer—spring I think they call it—was left out of the whole weather-forecasting-equation this year; global warming was scrambling the numbers, subsequently the summer-switch was thrown. 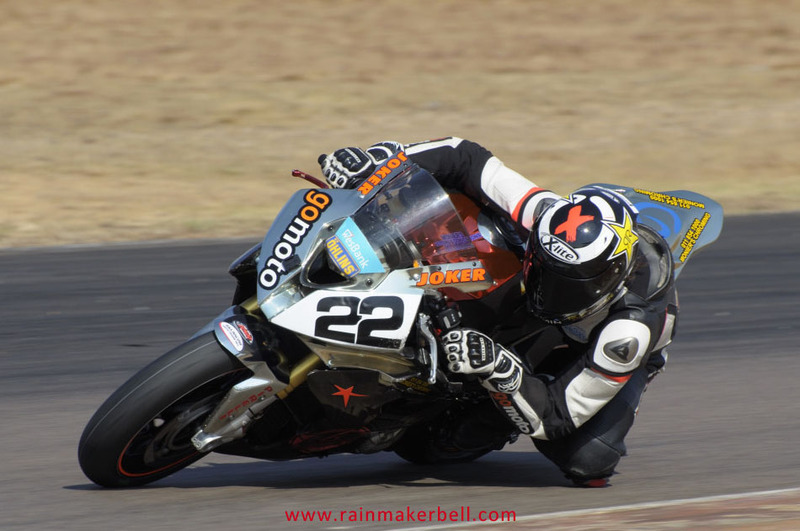 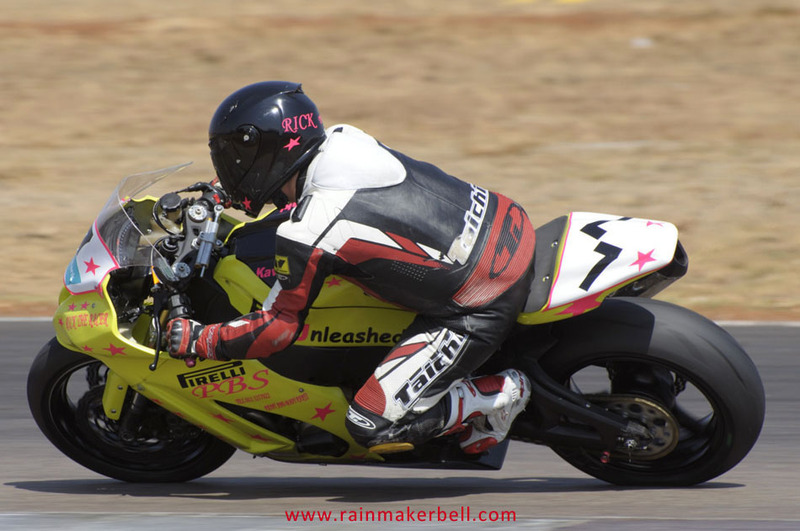 Last weekend at the NRR race meeting my hands were freezing off; a week later the temperature soared to a high 30 degrees. 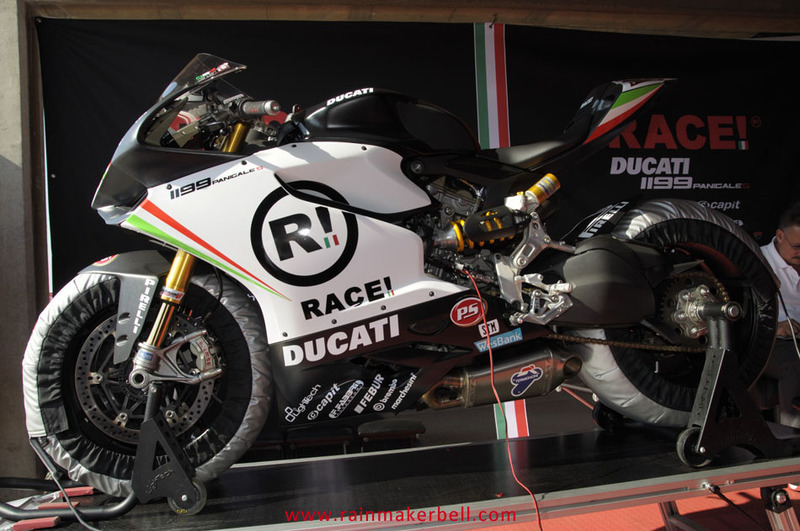 Could this be the reason for the Ducati’s sub-standard performance? 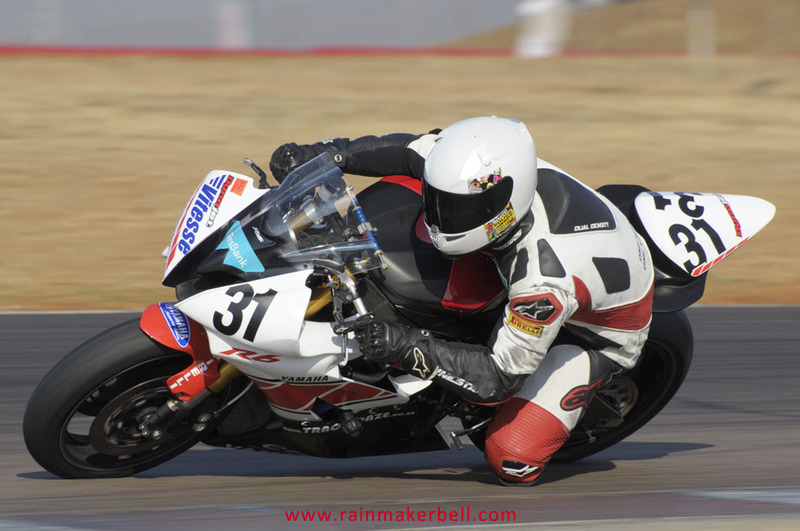 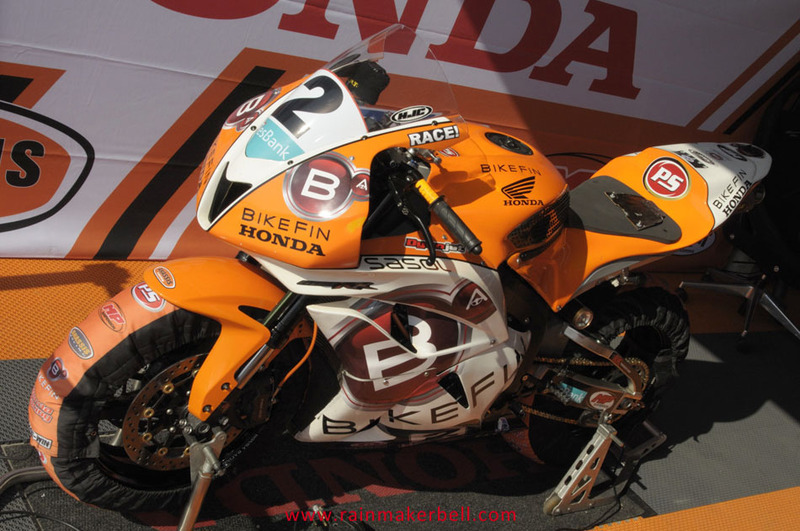 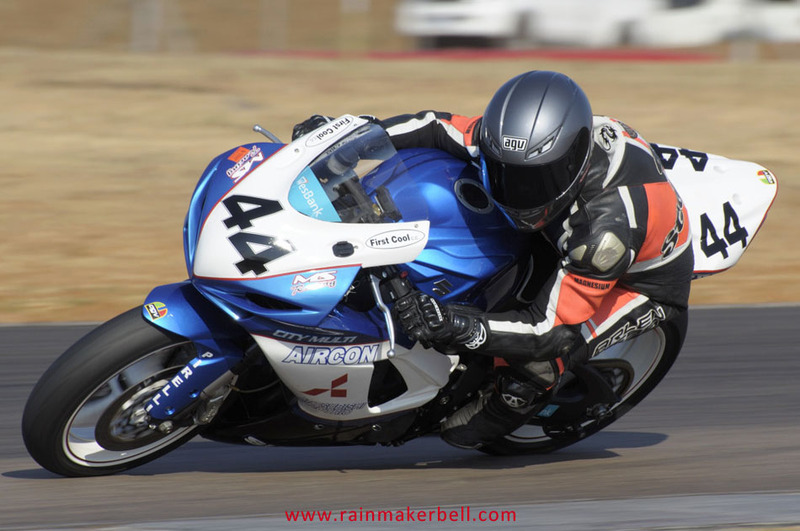 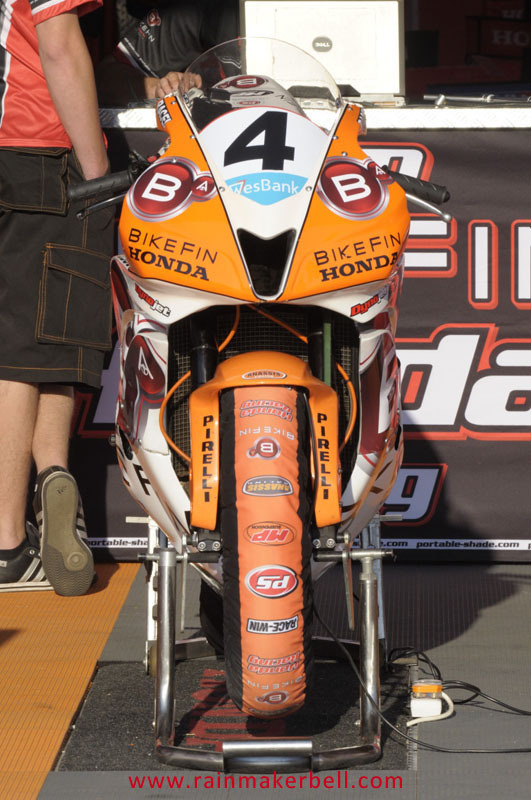 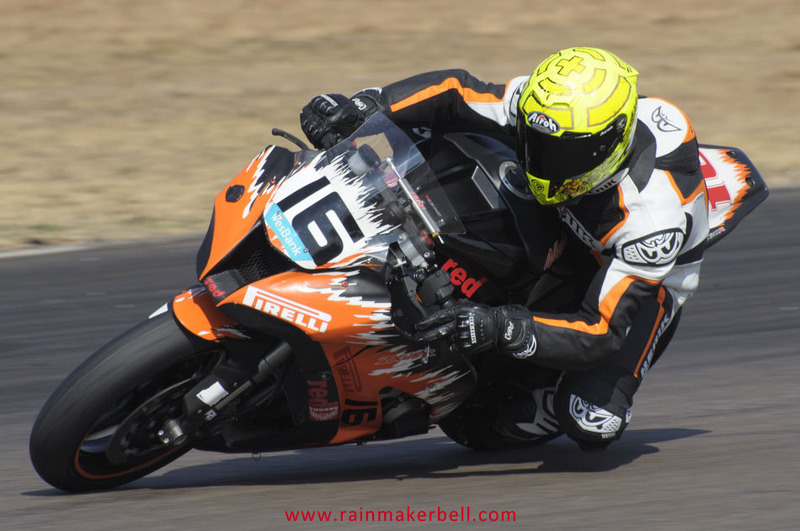 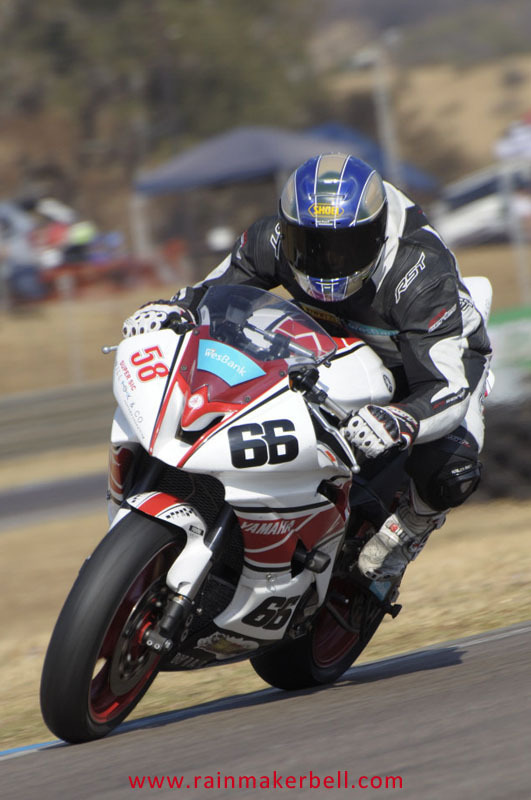 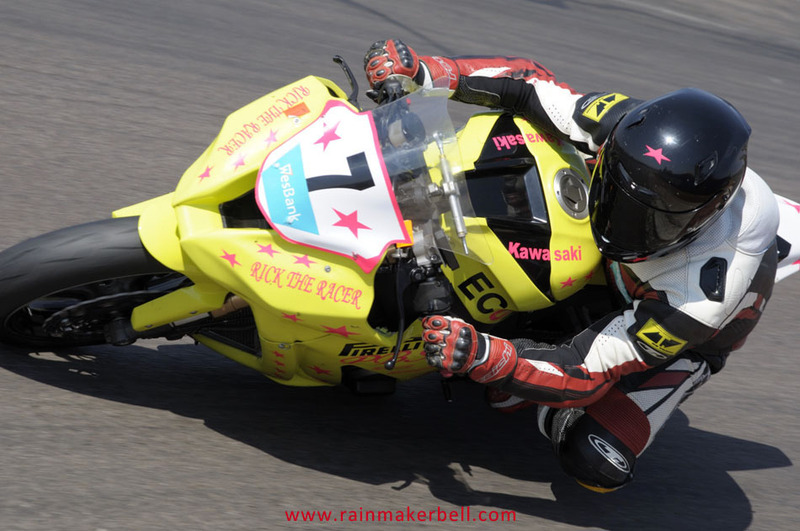 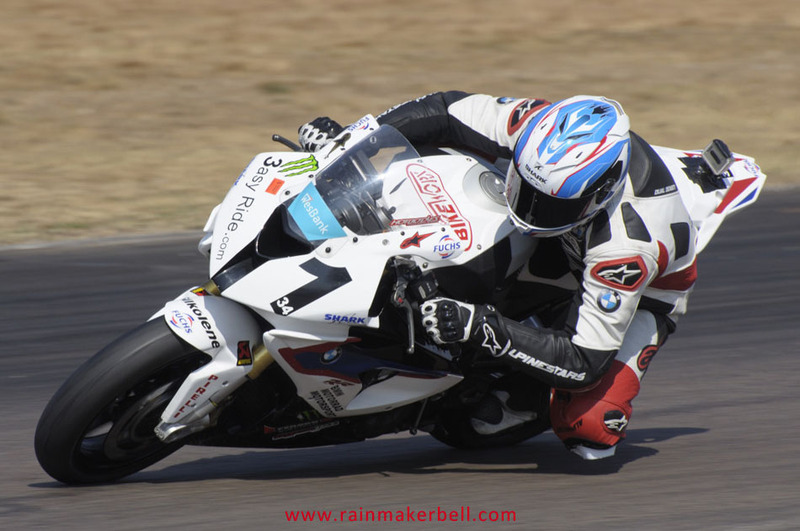 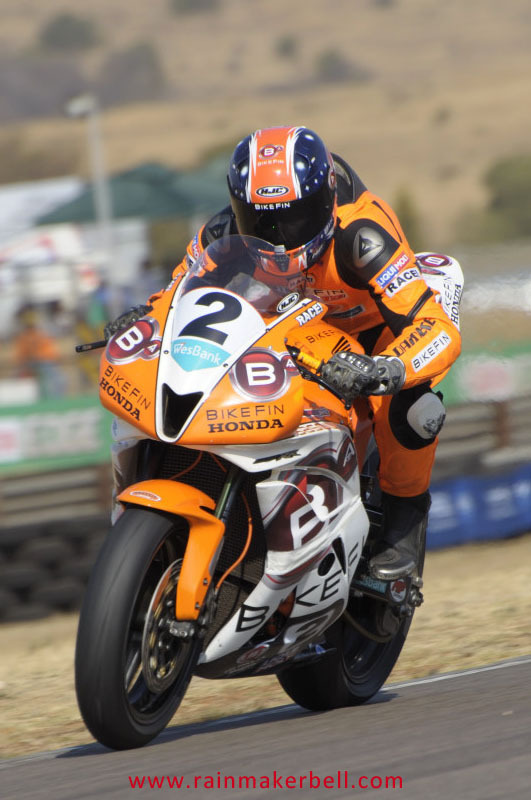 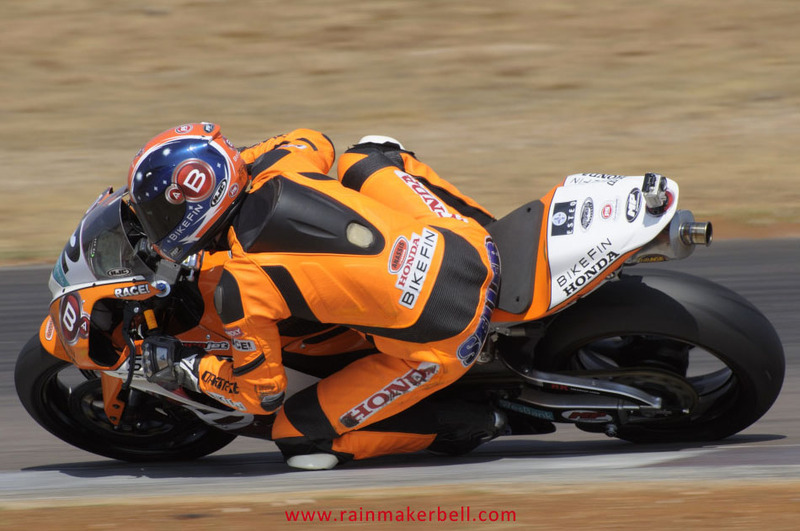 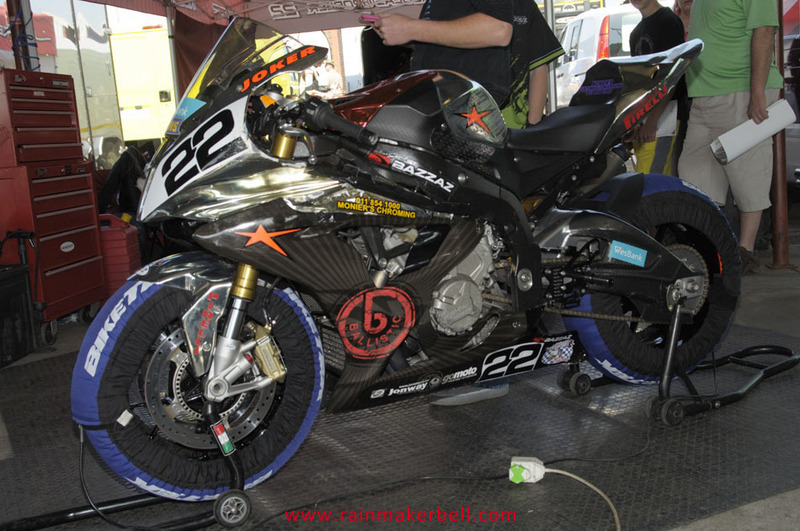 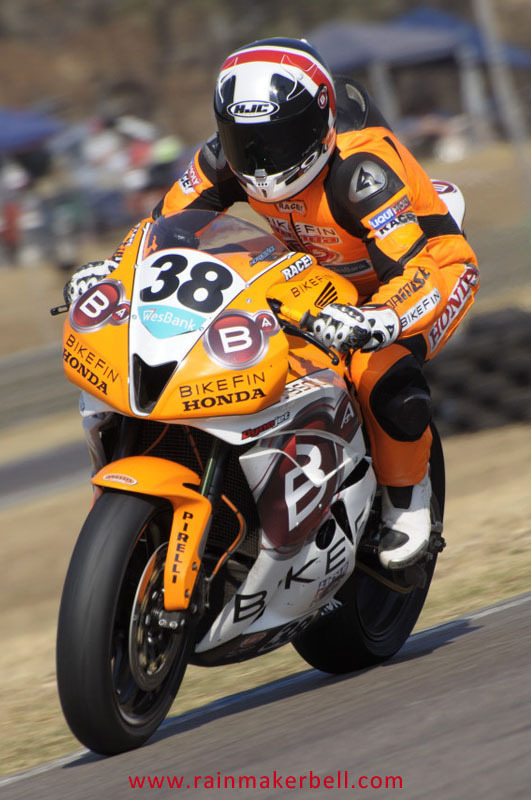 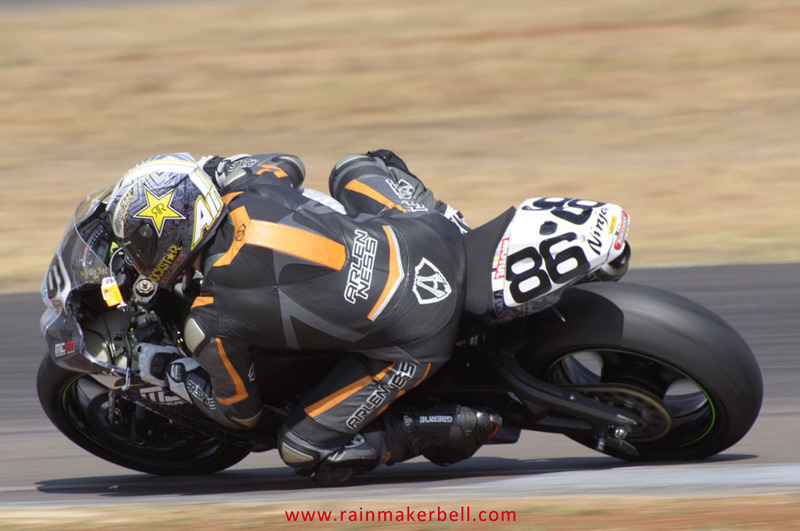 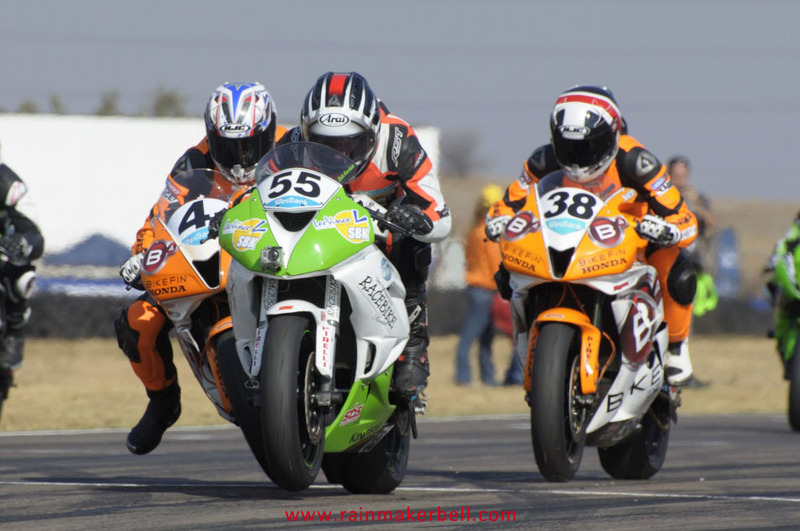 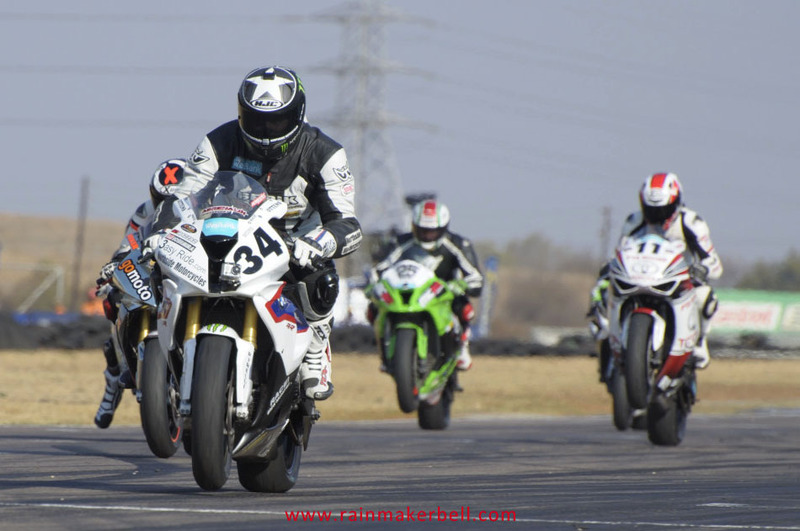 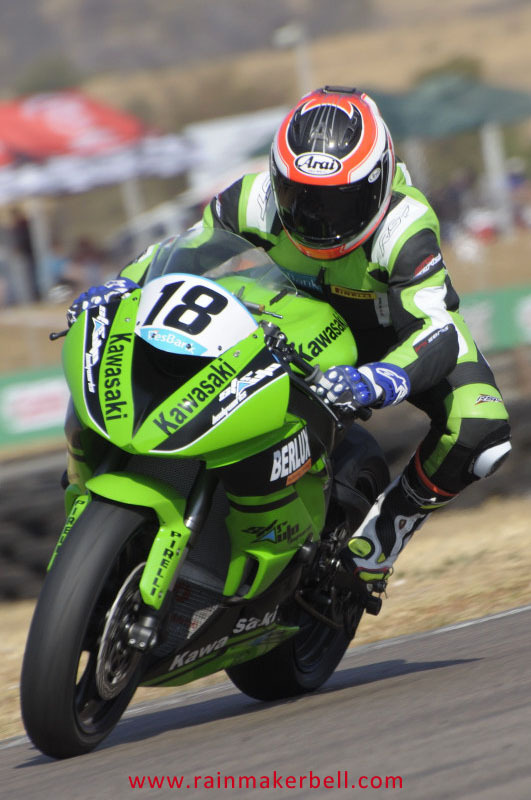 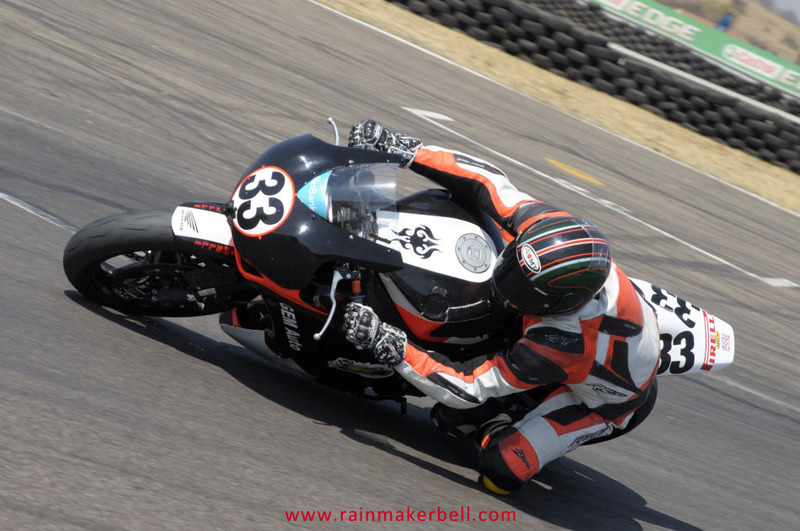 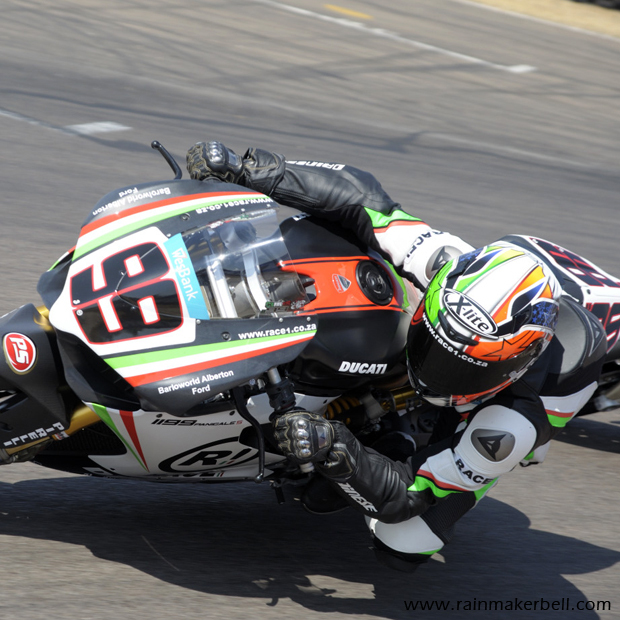 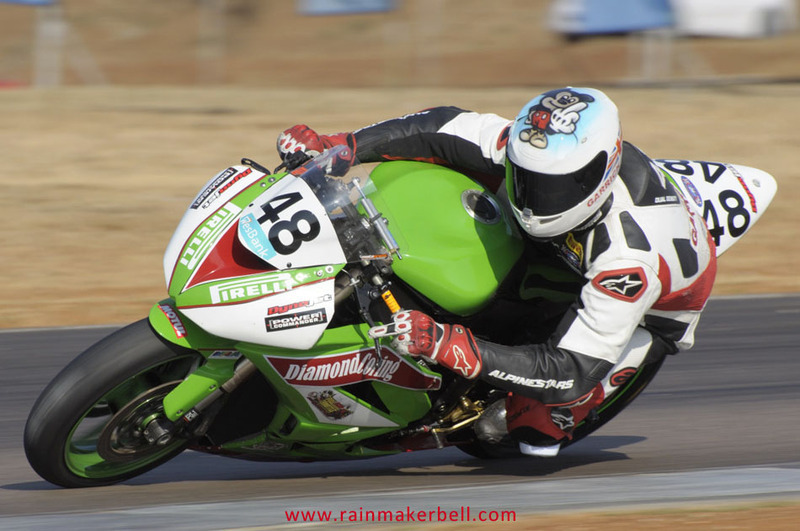 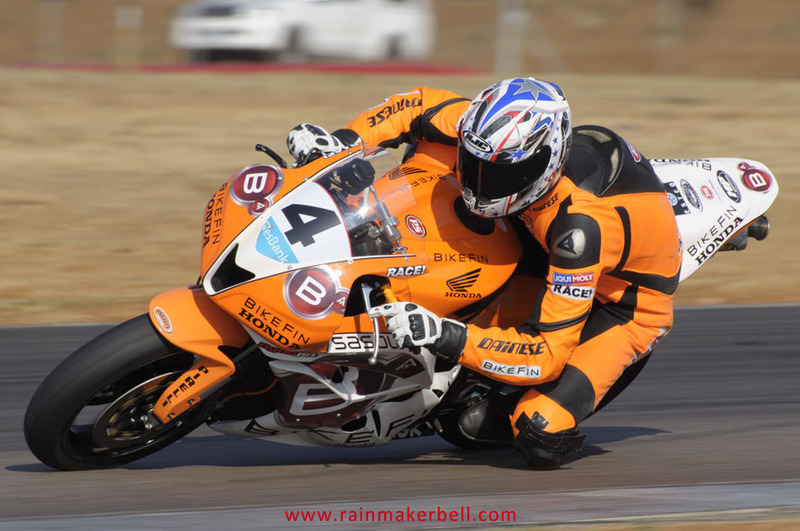 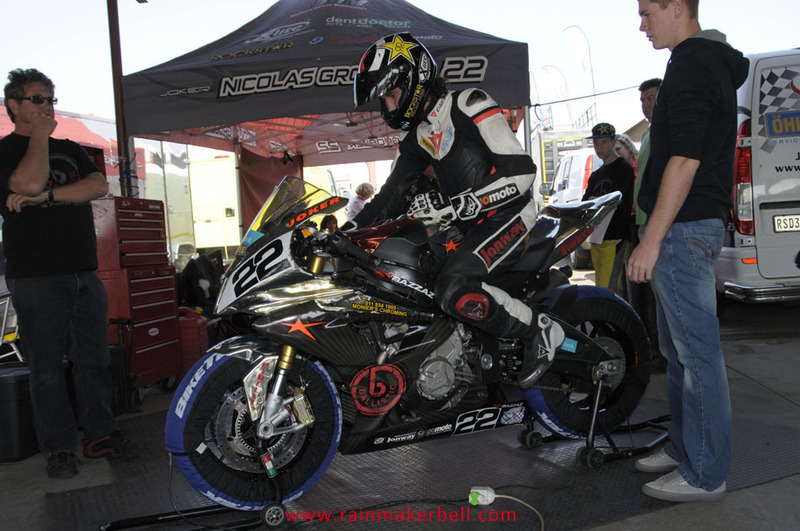 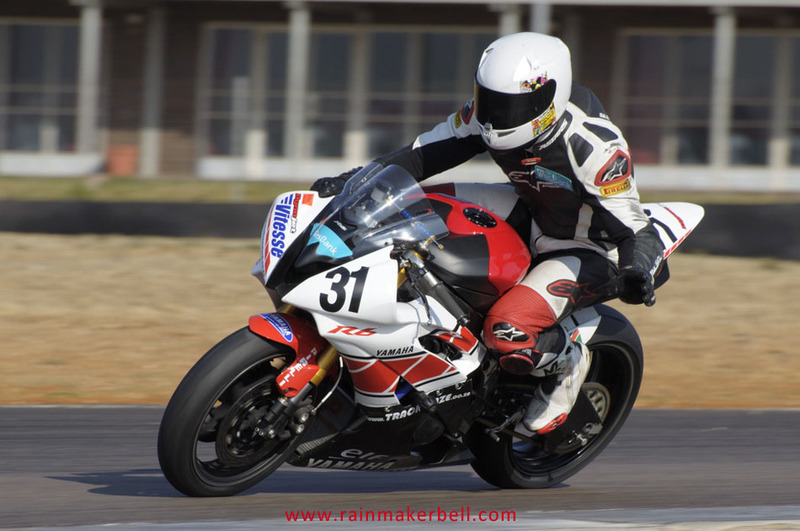 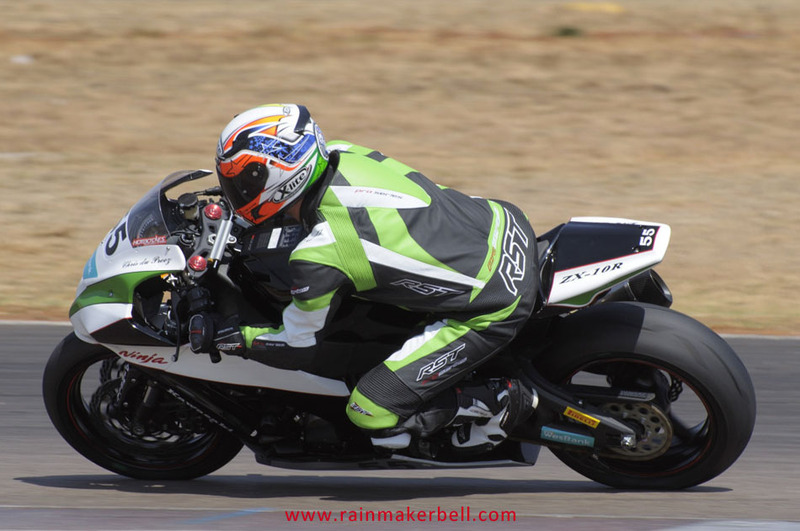 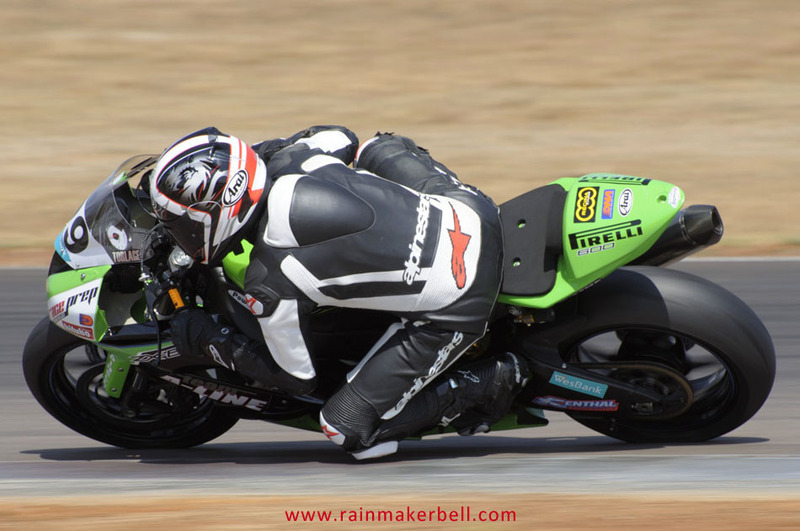 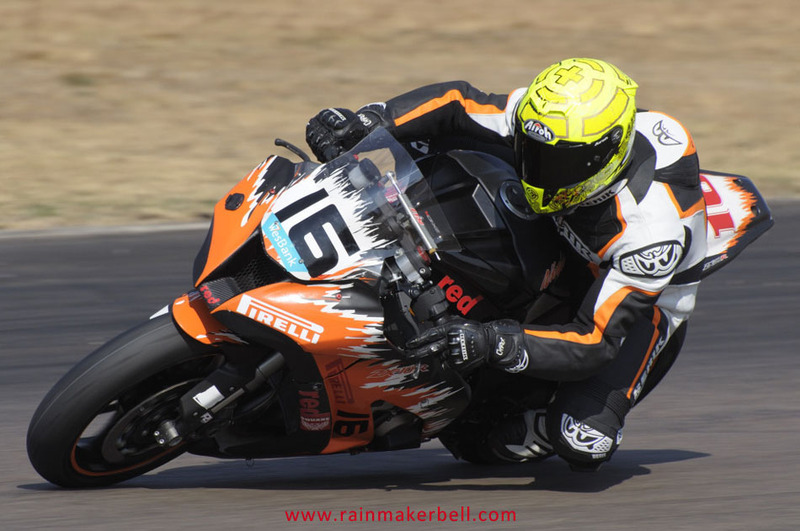 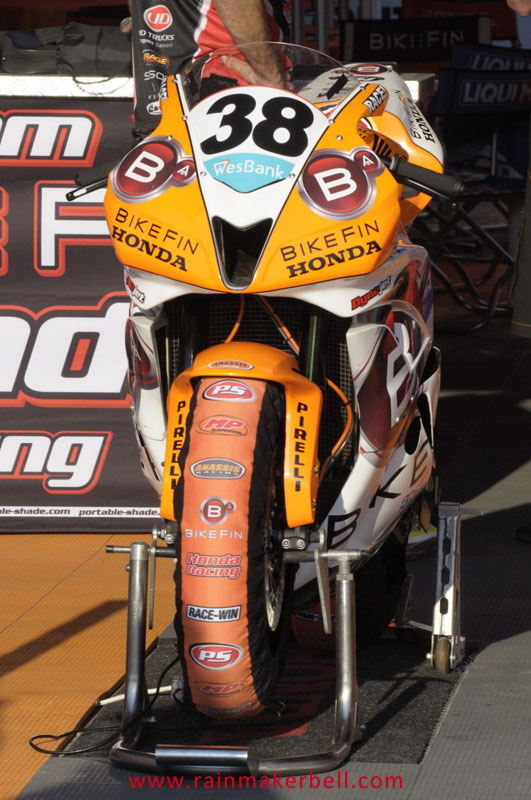 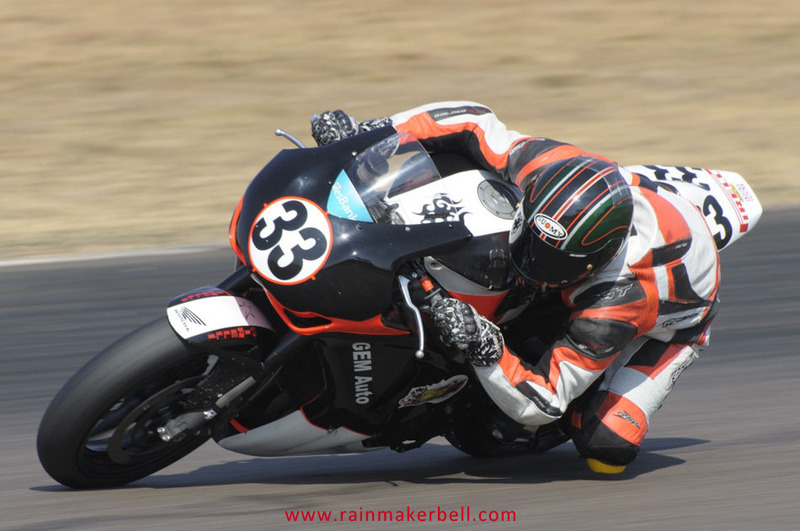 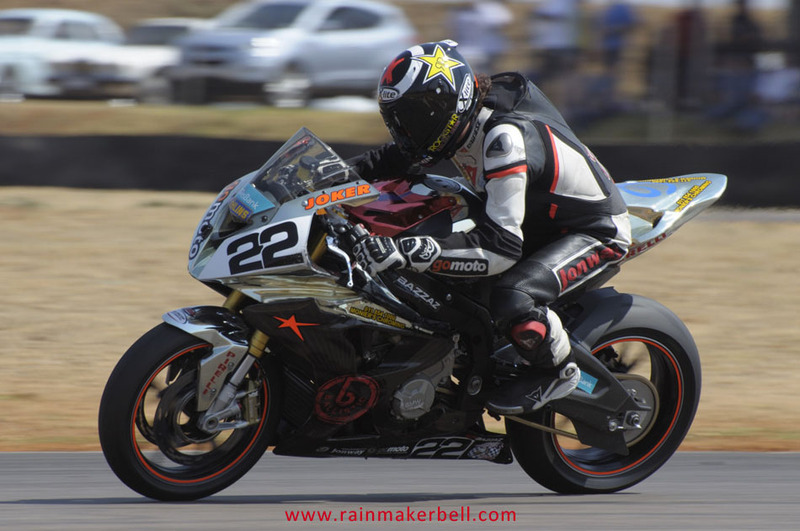 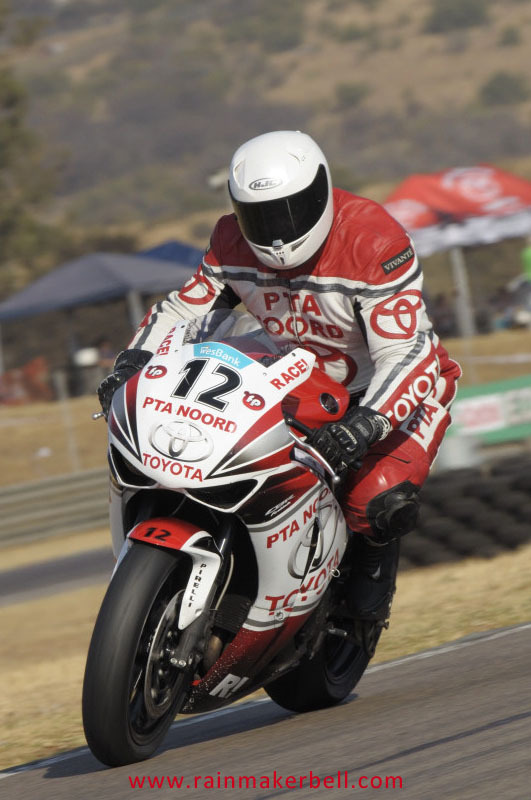 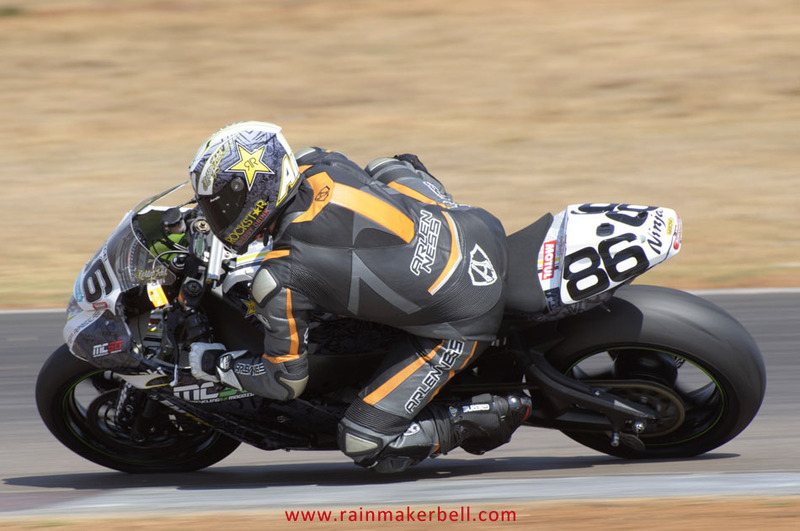 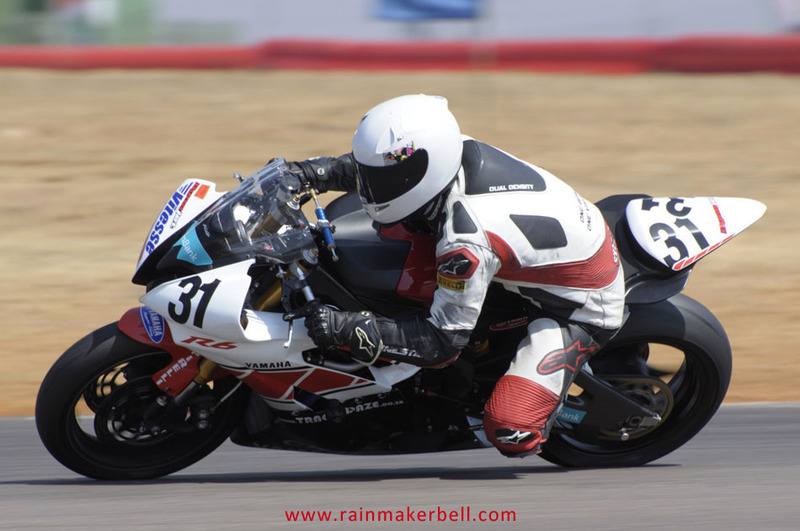 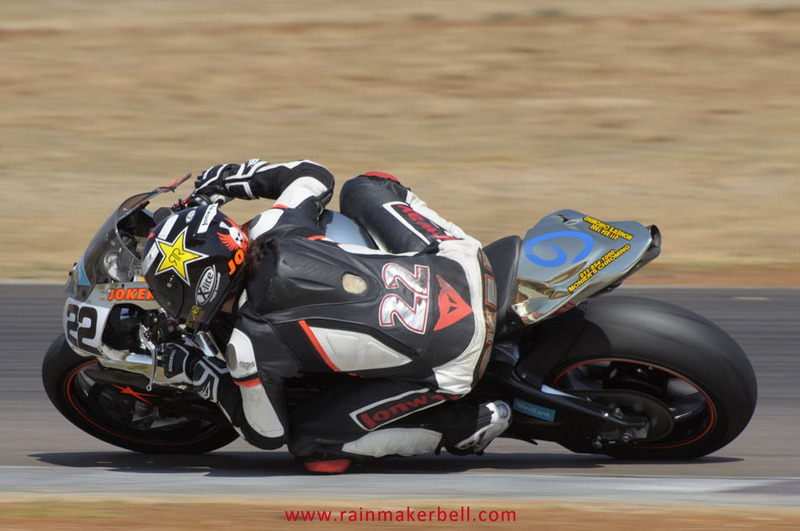 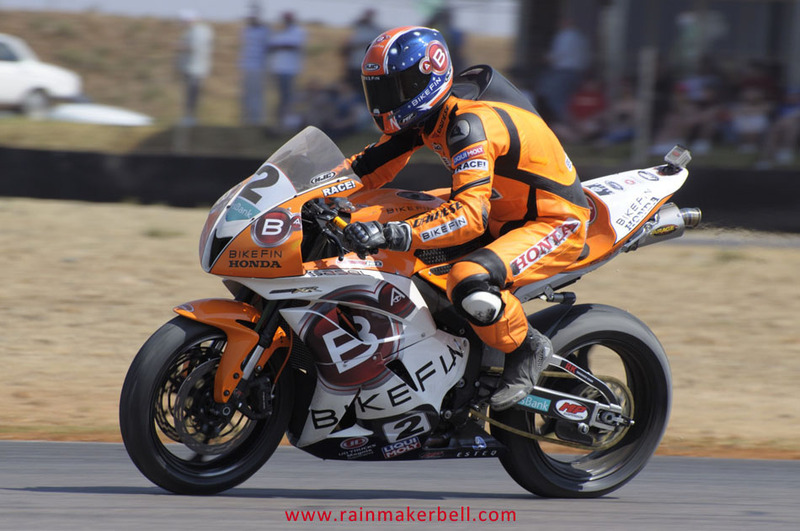 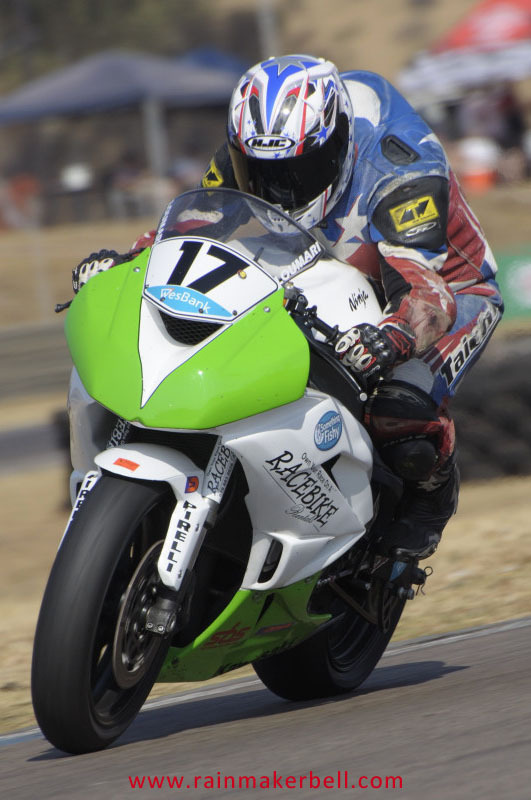 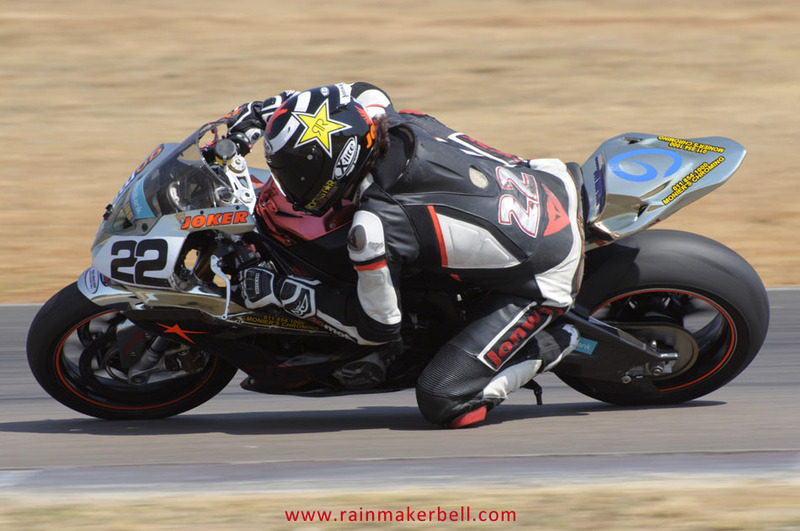 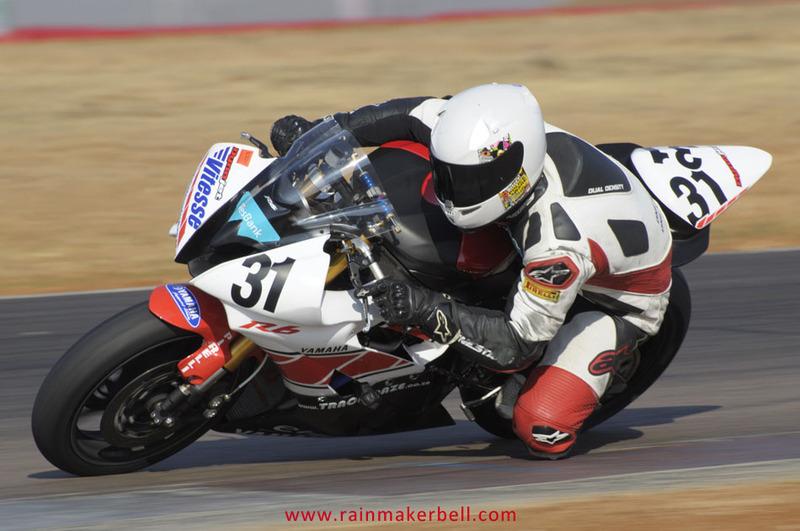 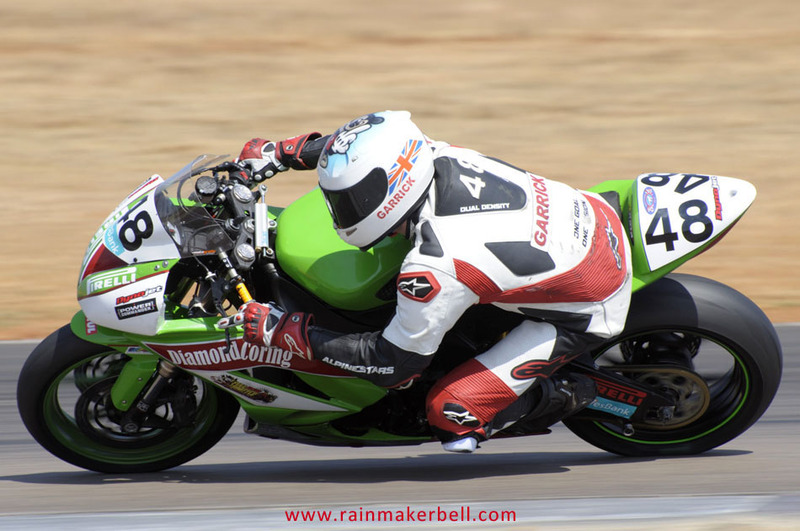 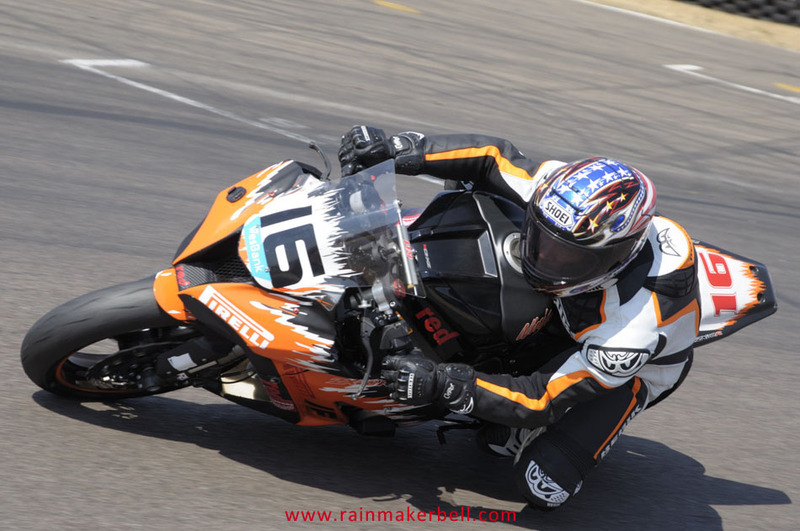 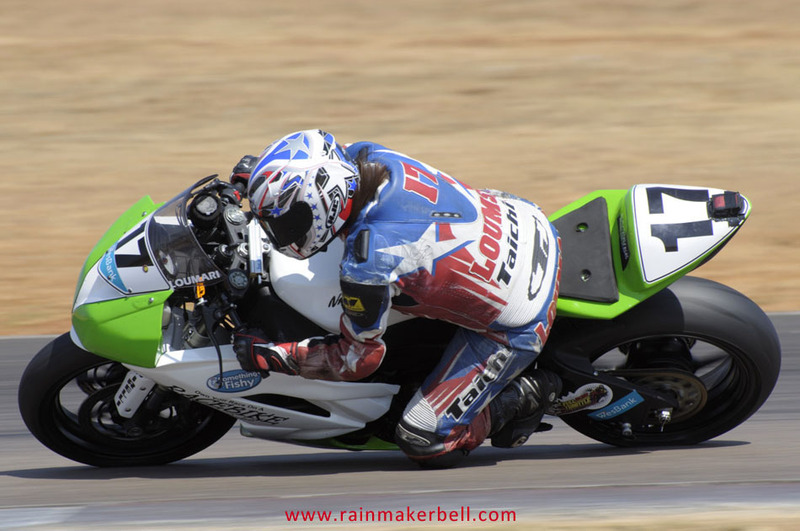 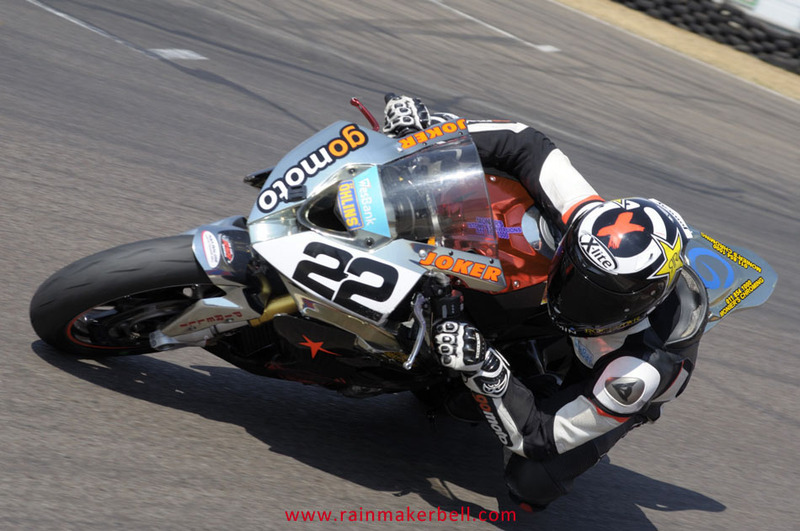 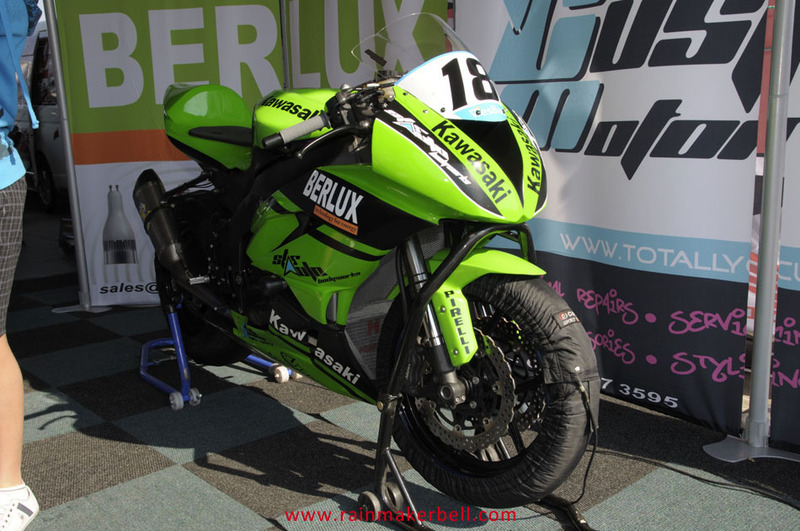 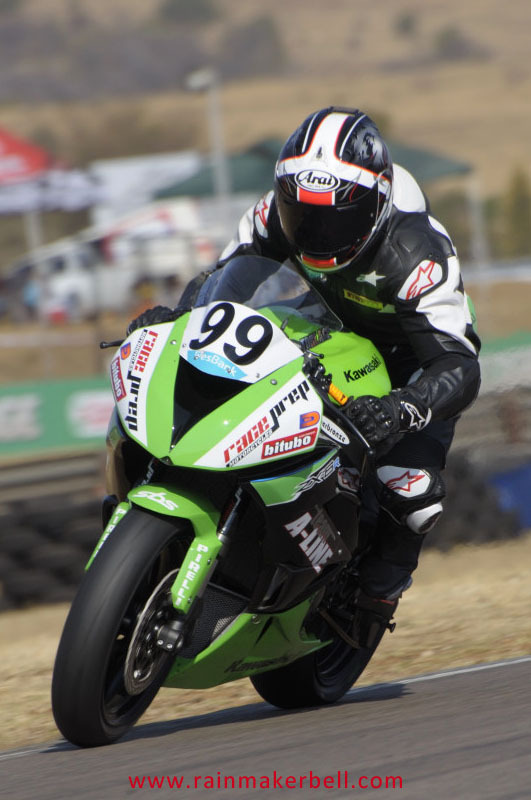 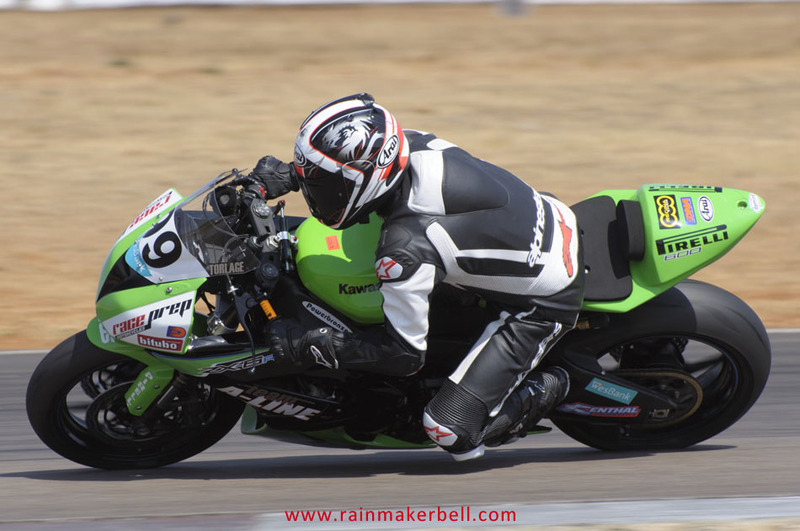 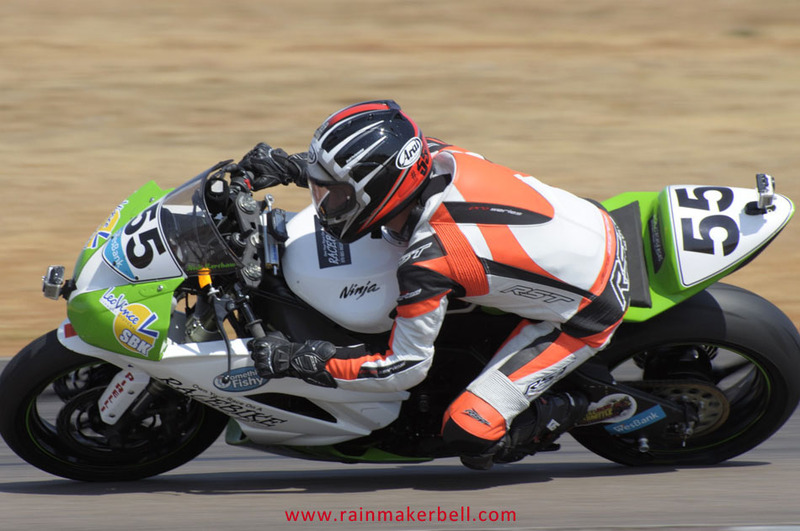 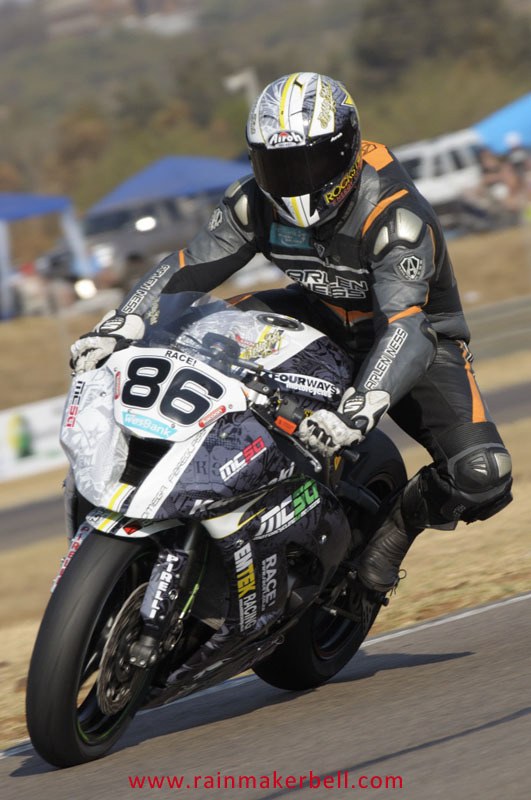 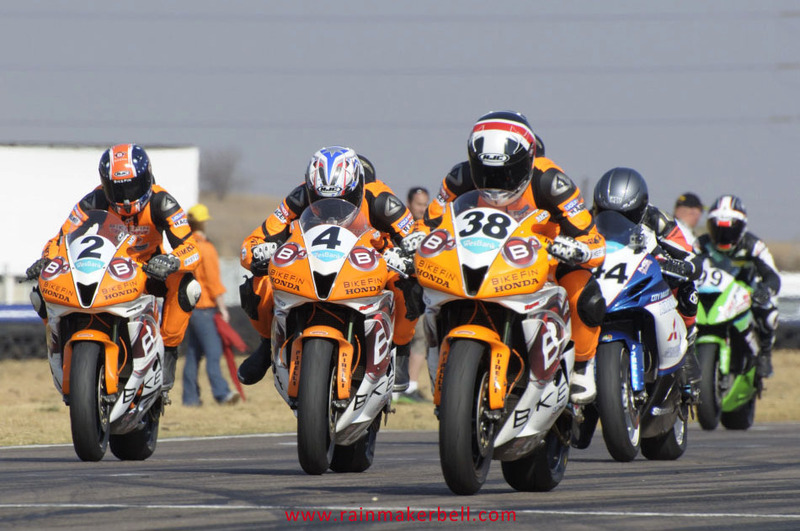 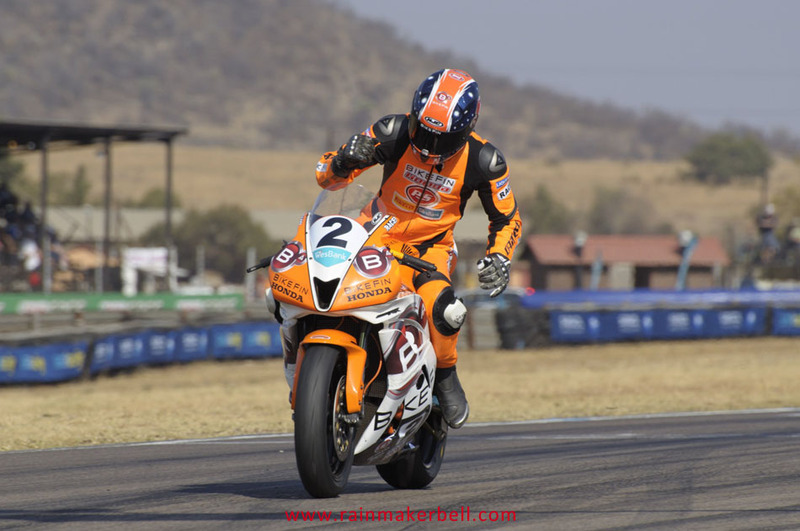 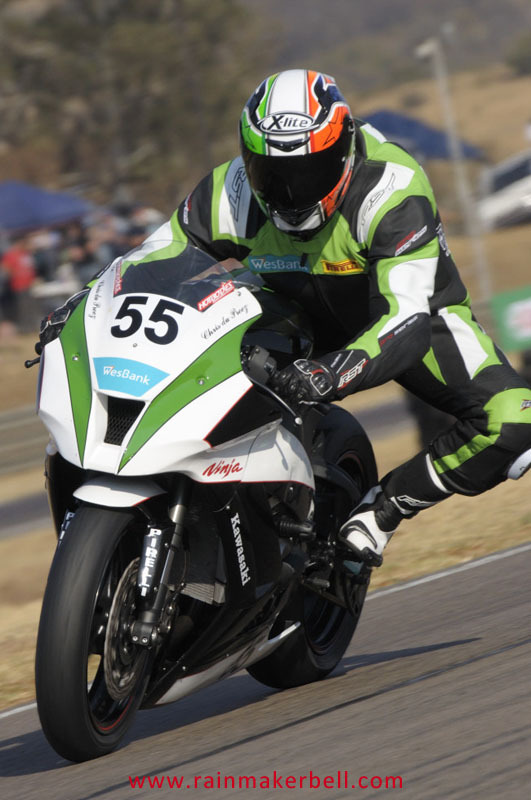 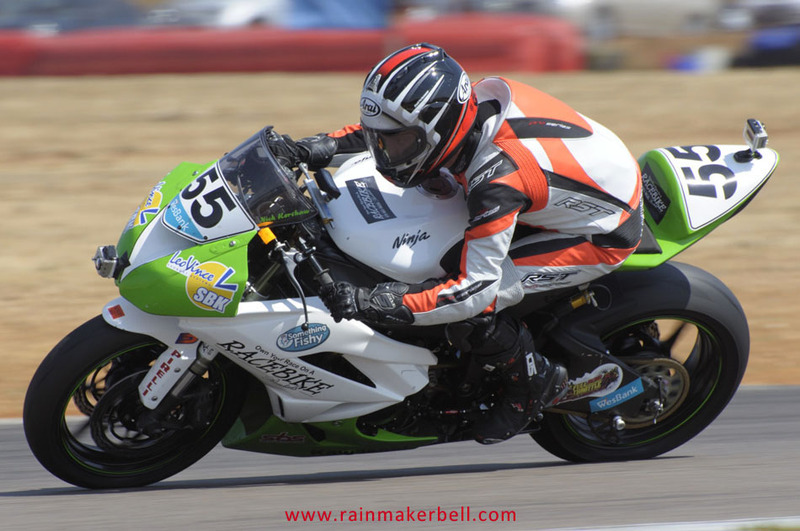 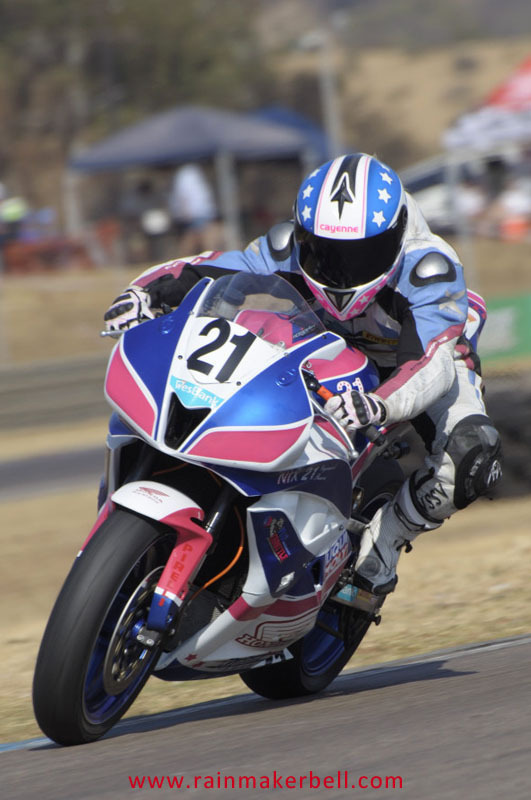 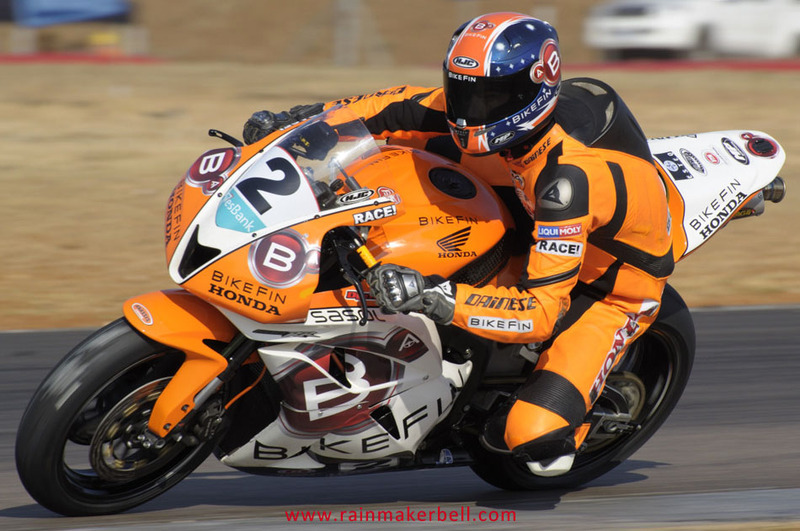 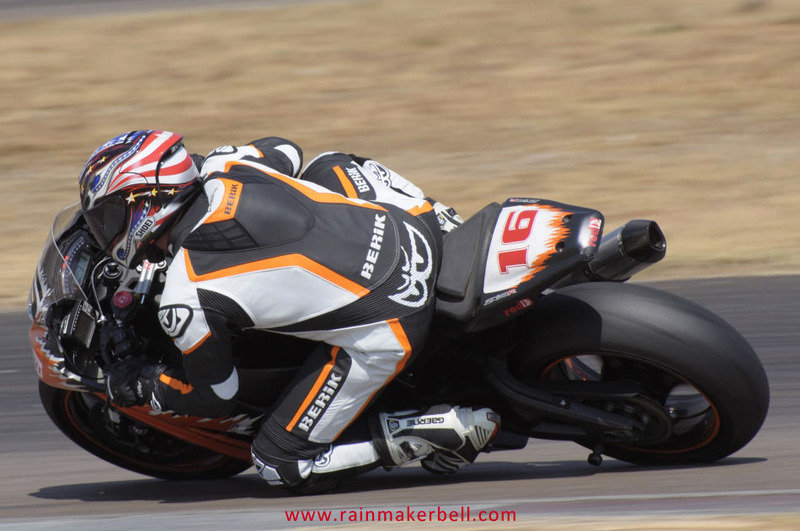 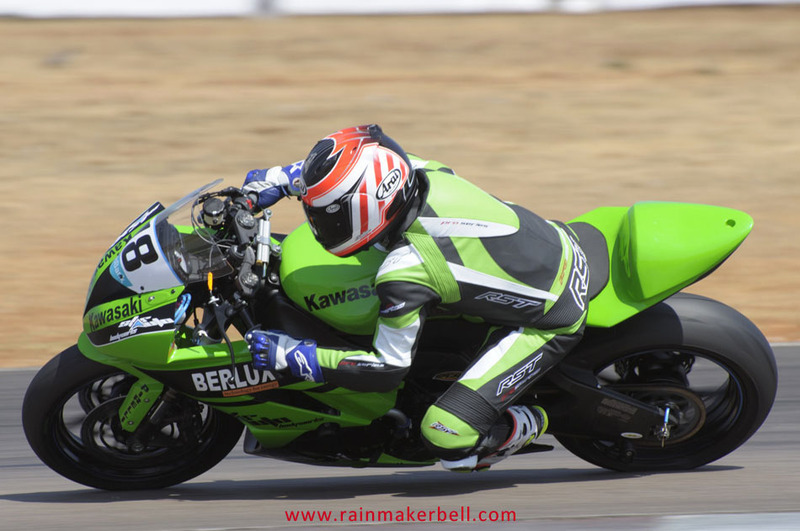 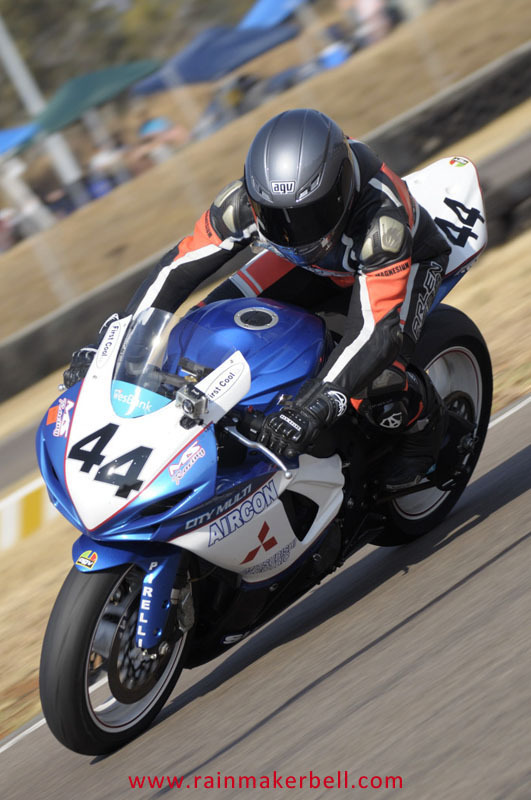 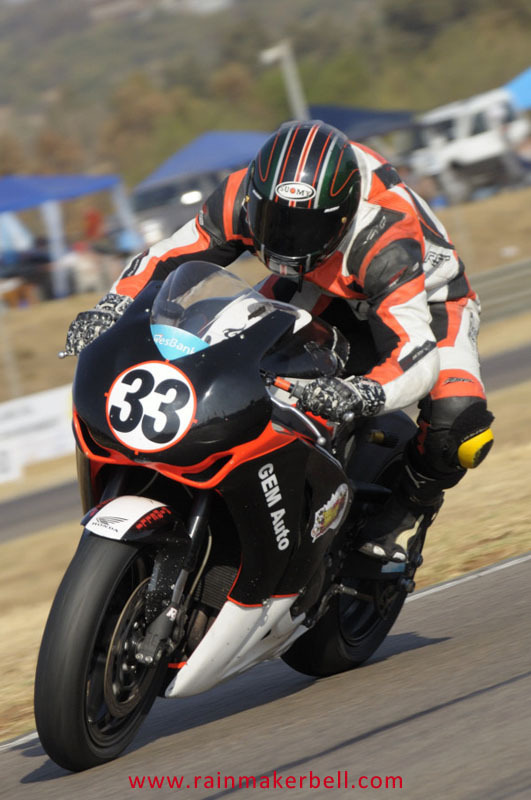 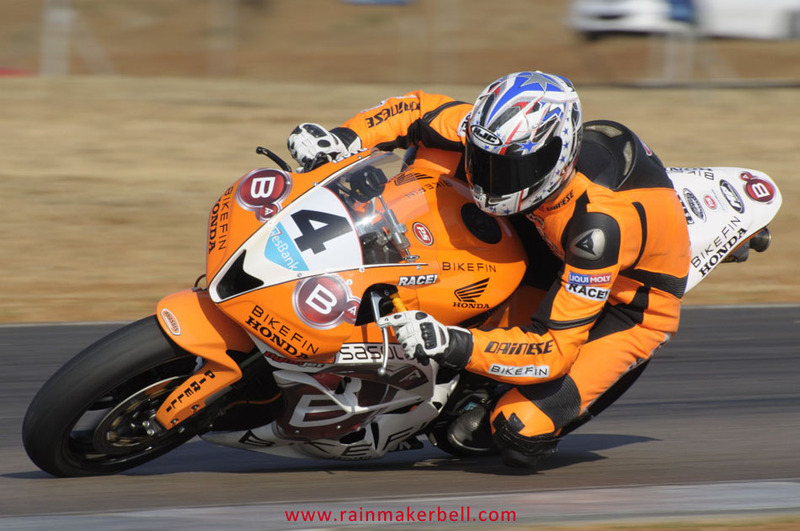 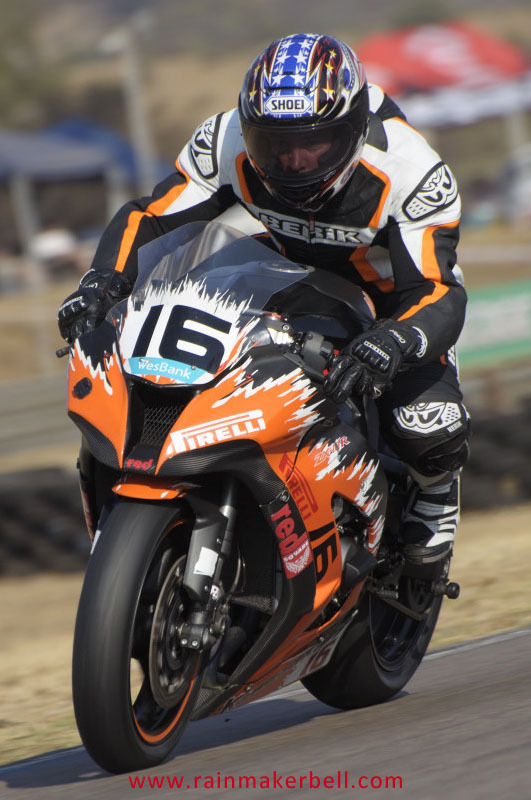 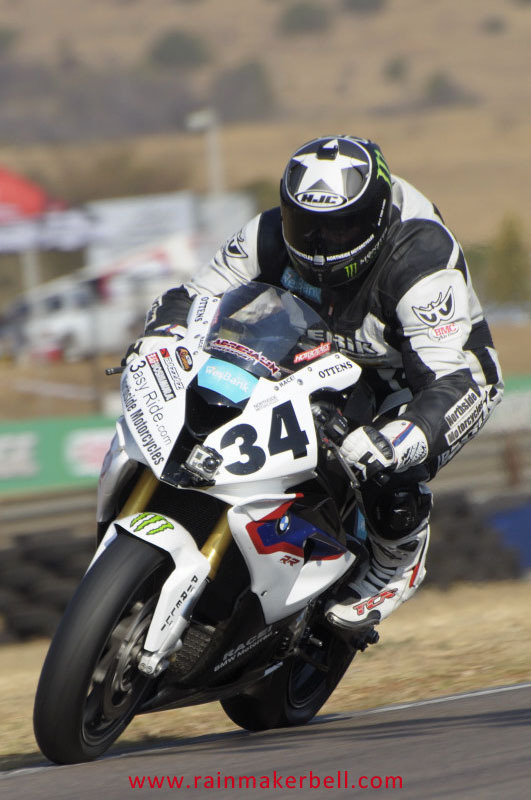 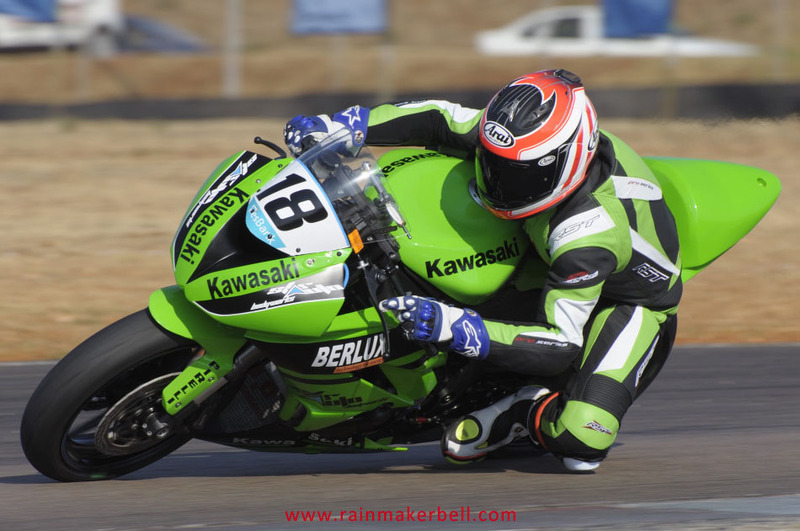 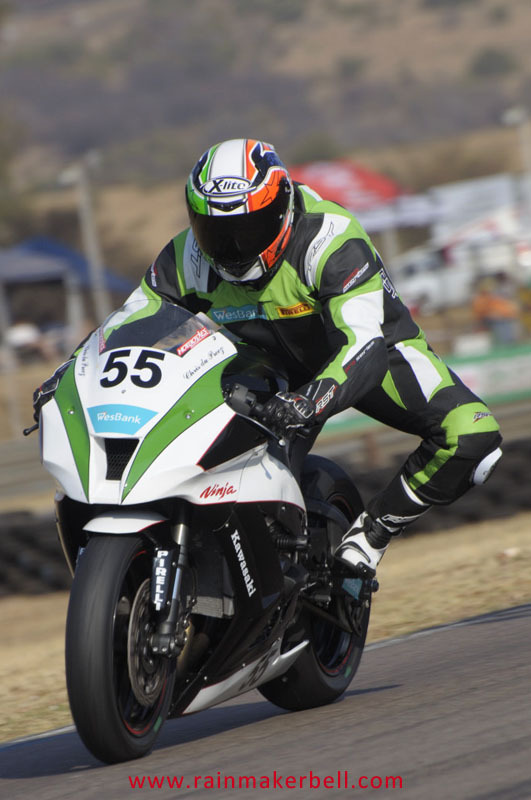 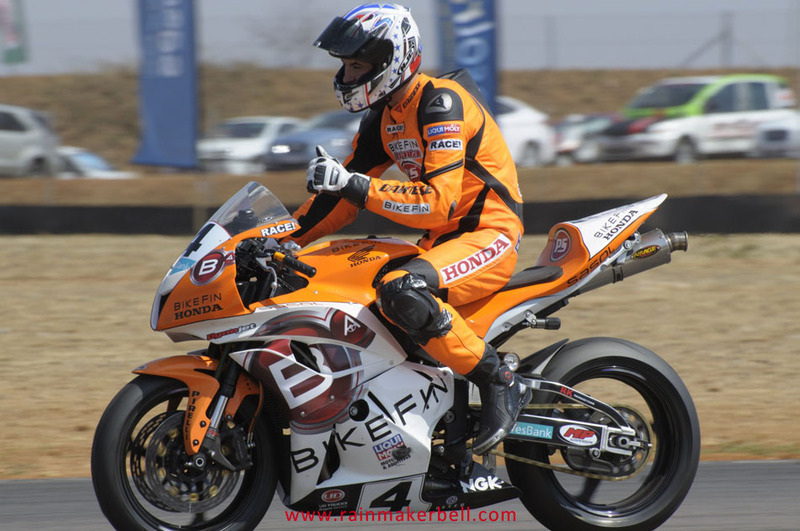 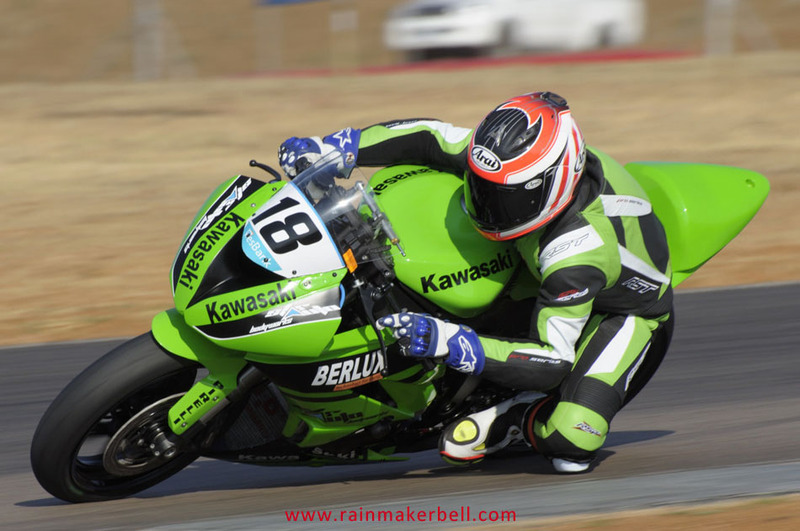 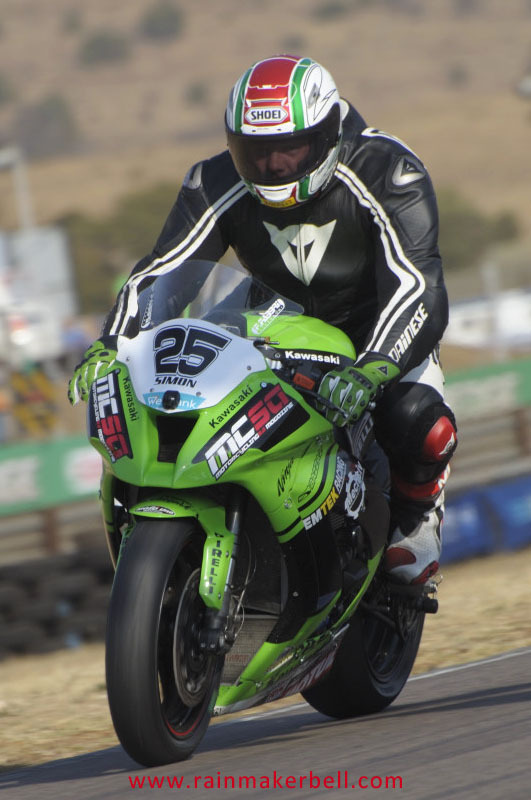 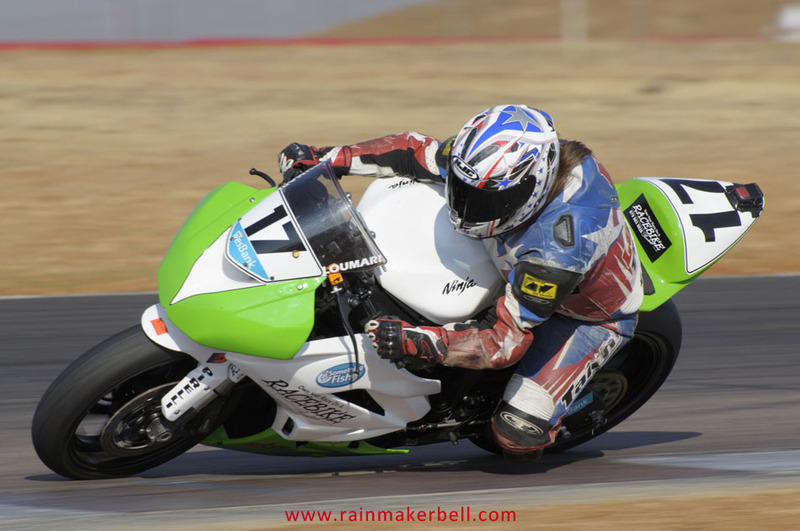 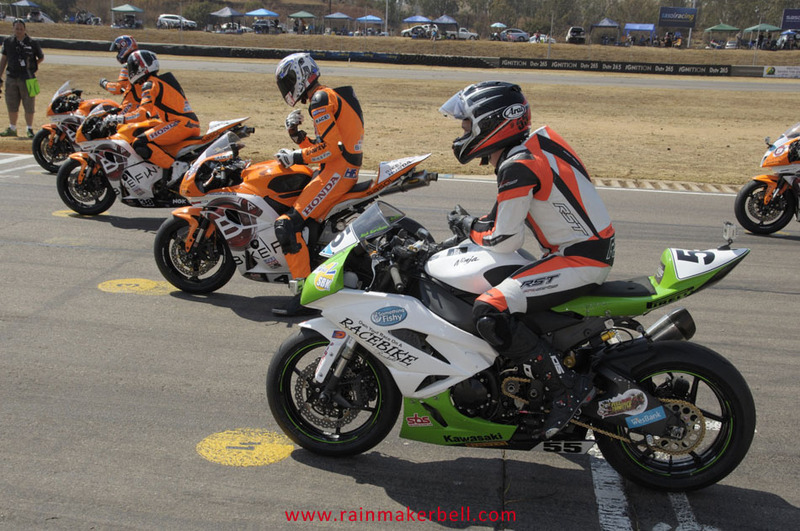 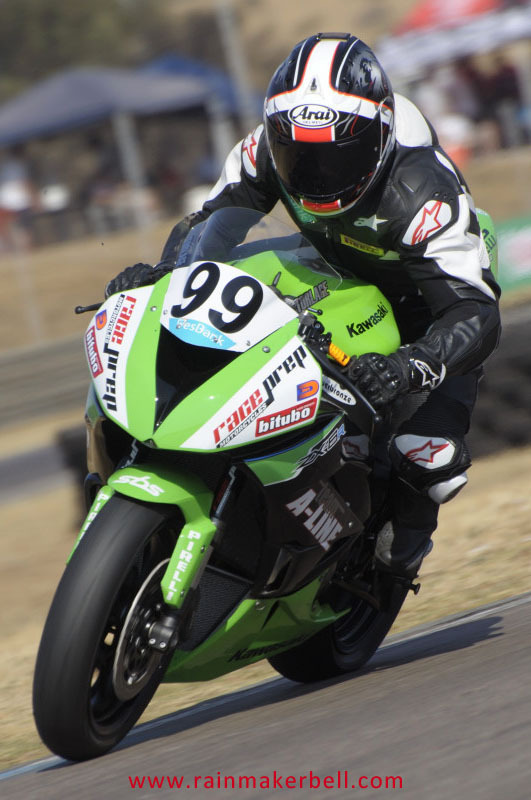 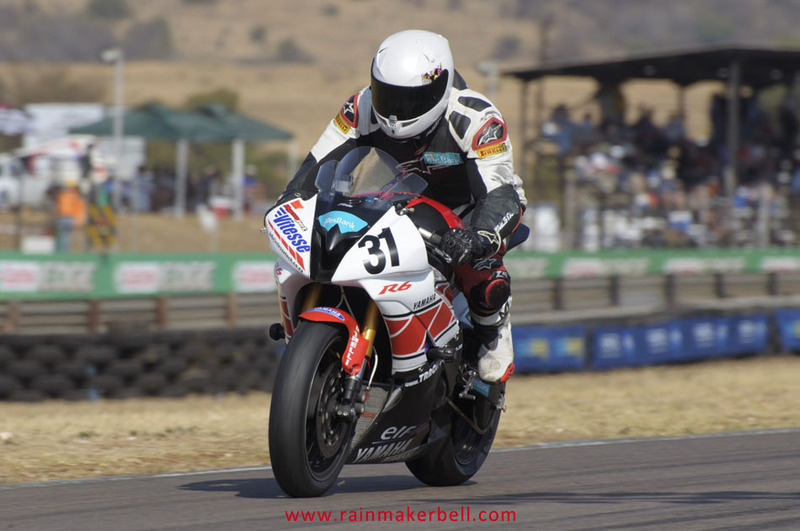 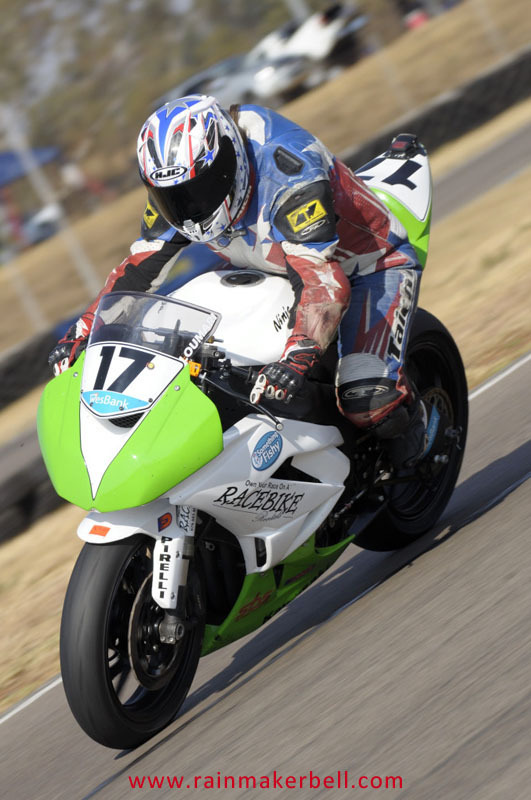 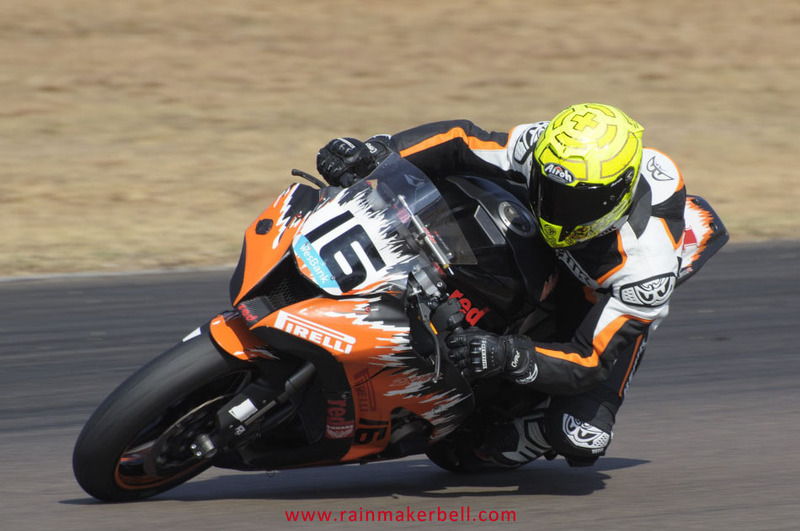 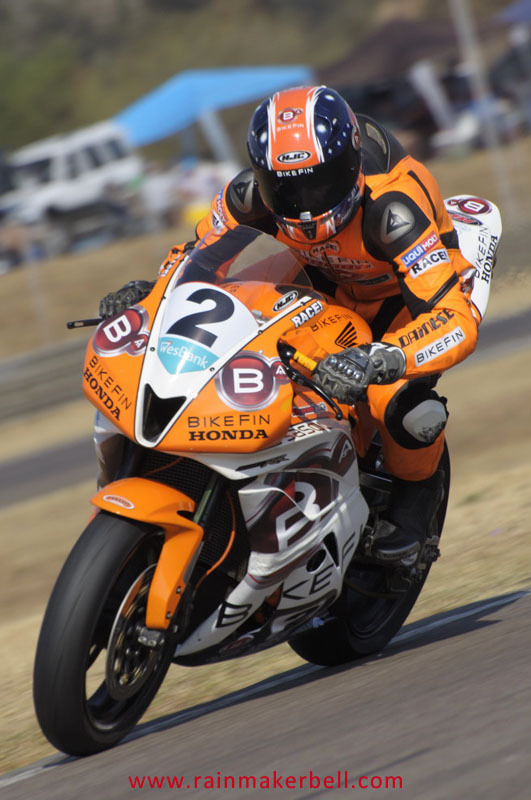 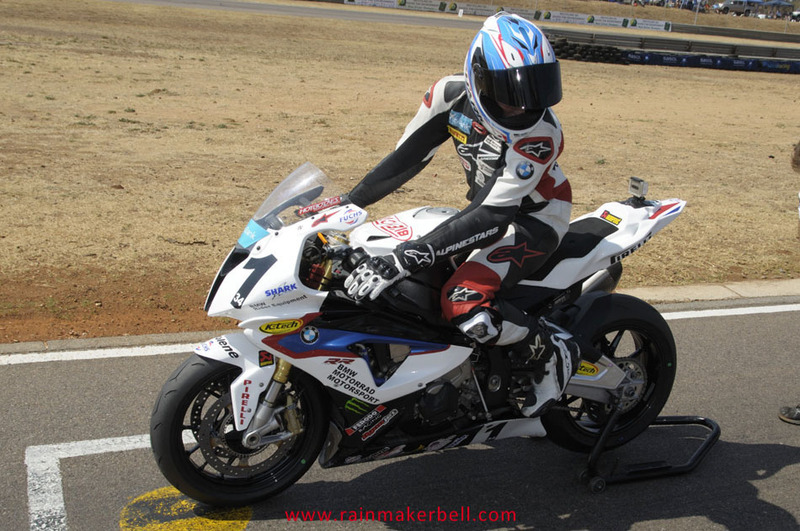 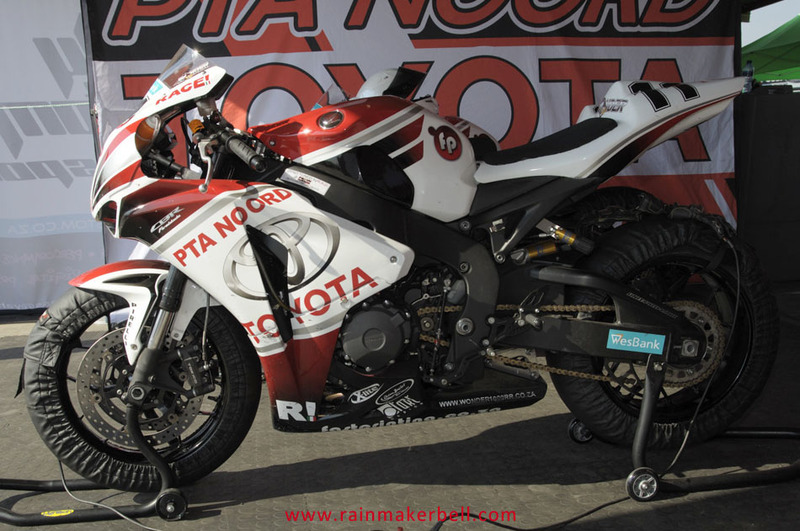 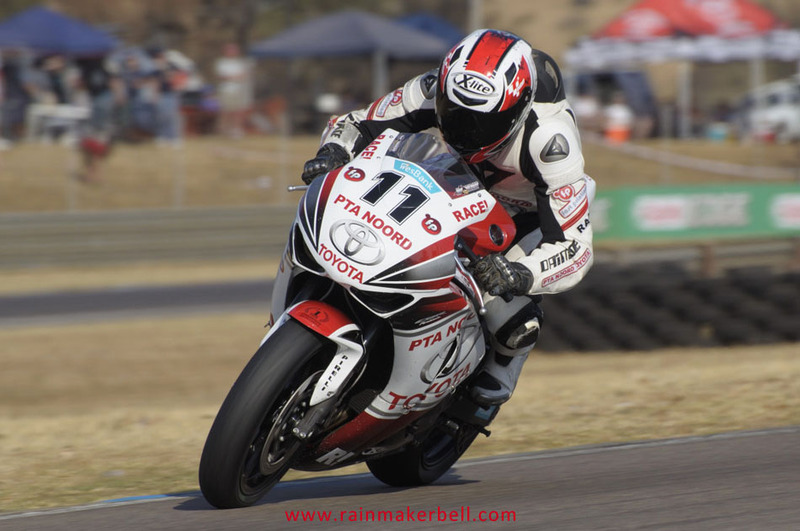 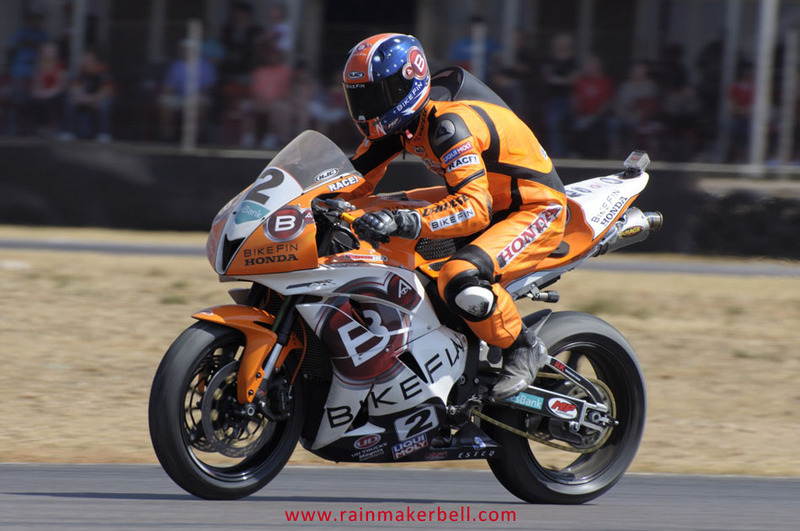 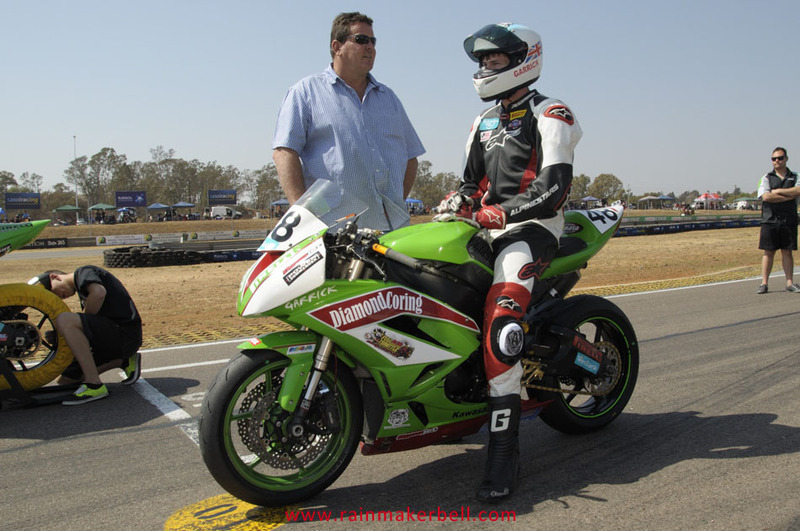 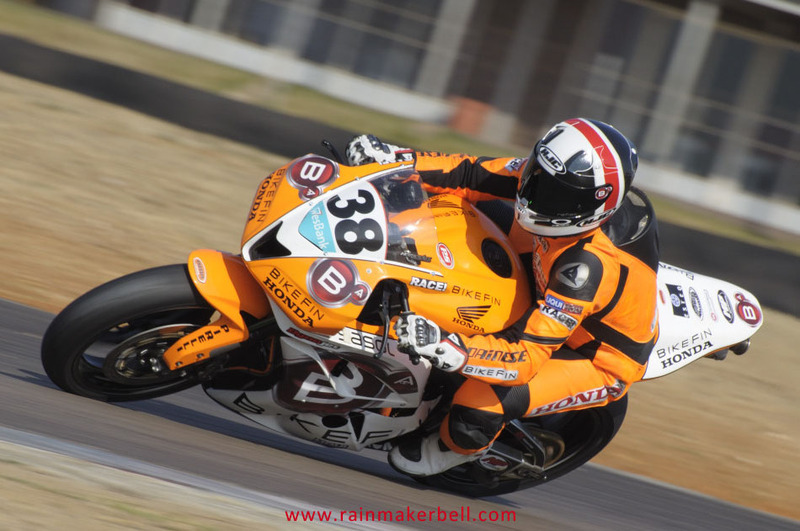 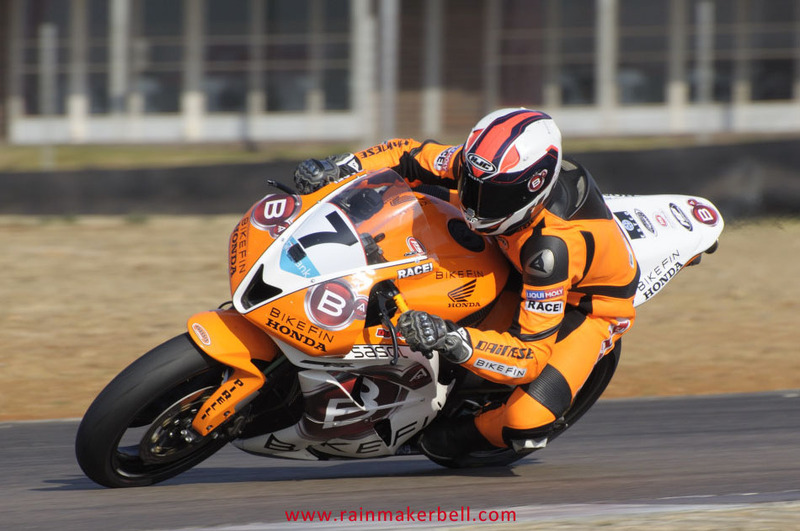 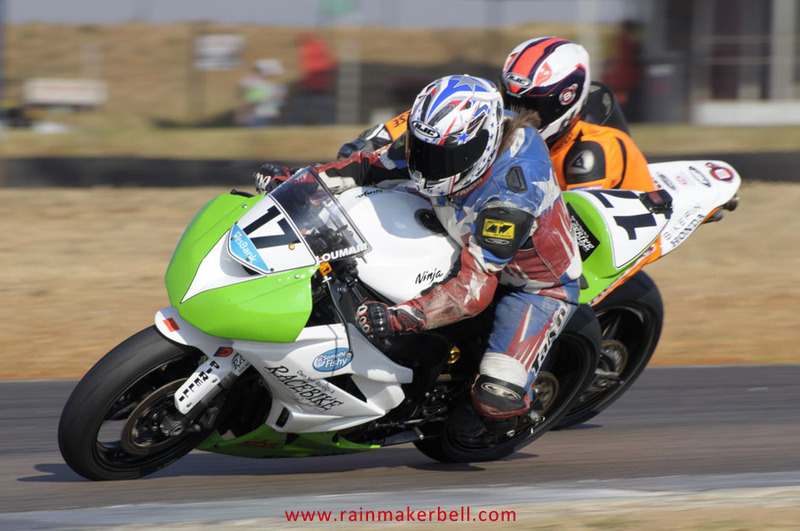 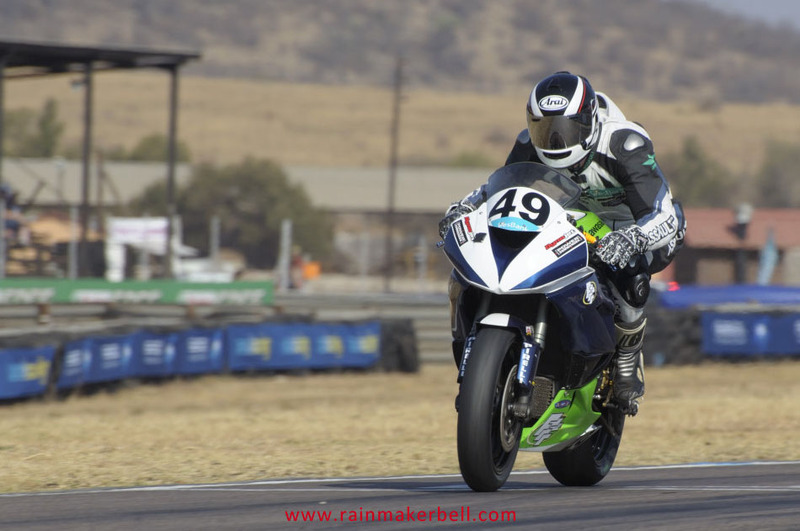 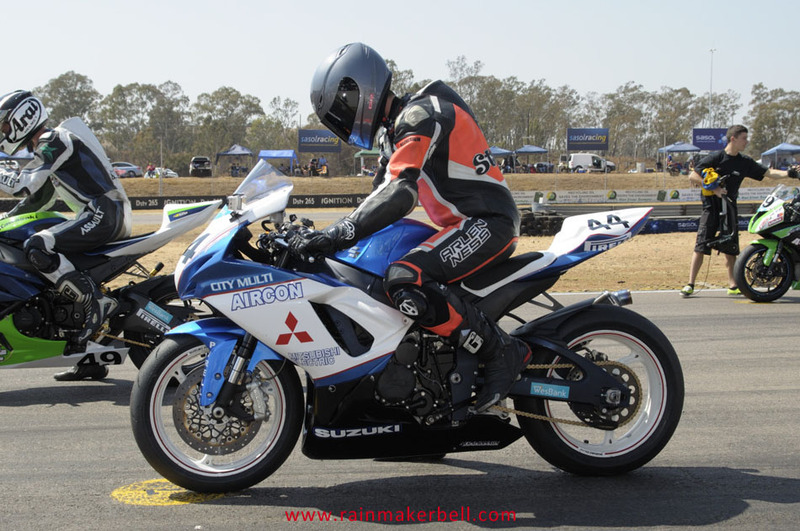 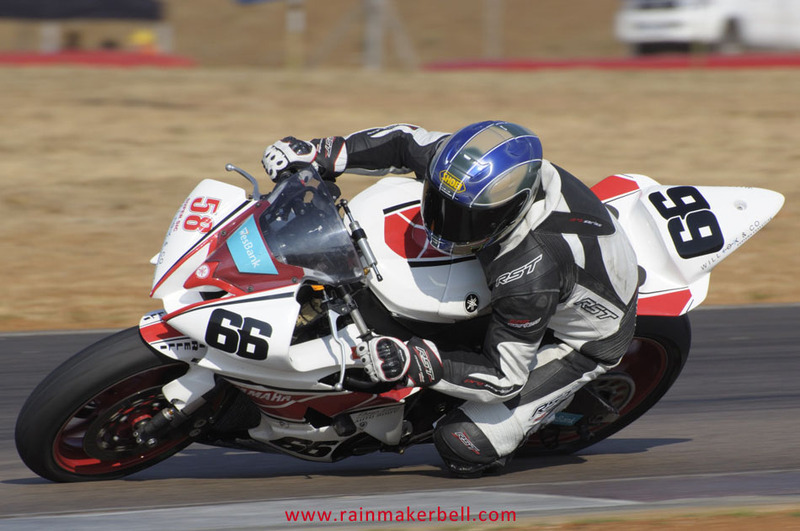 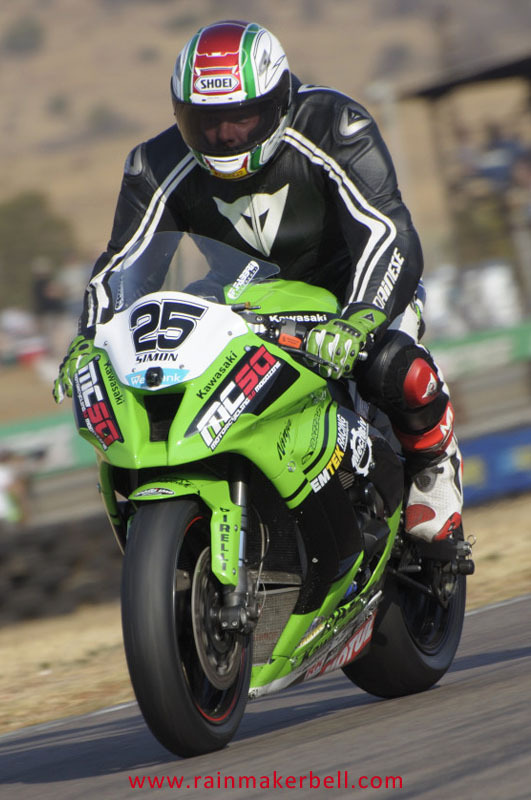 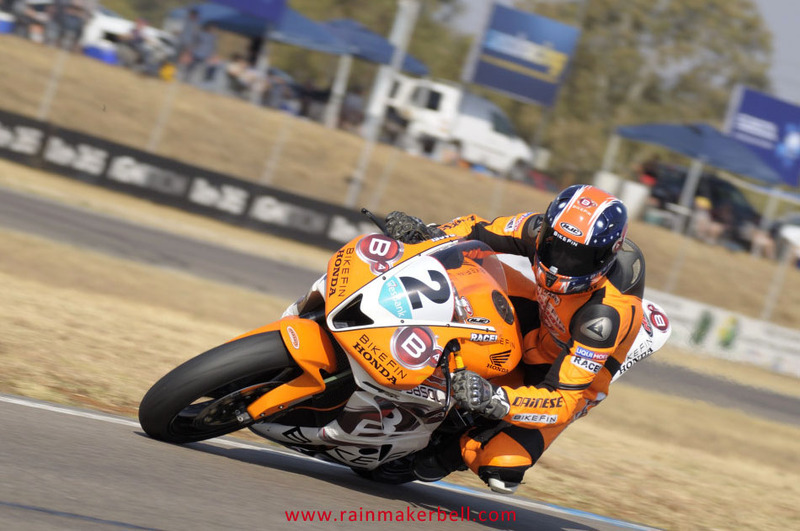 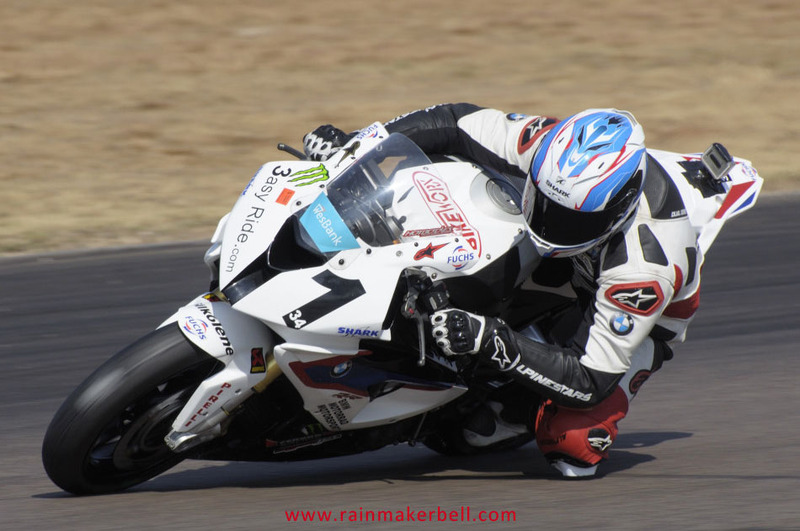 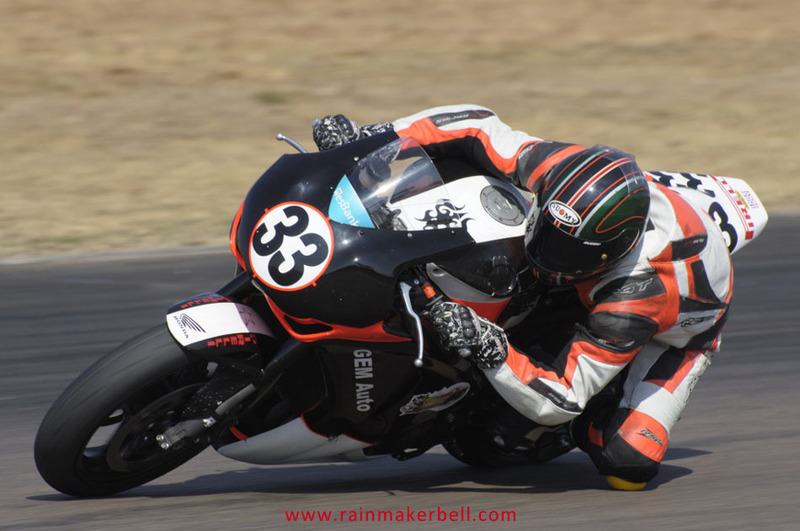 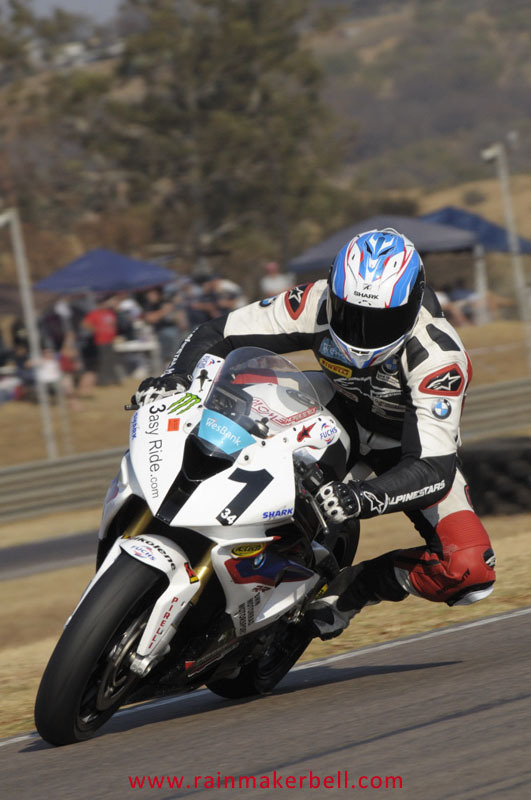 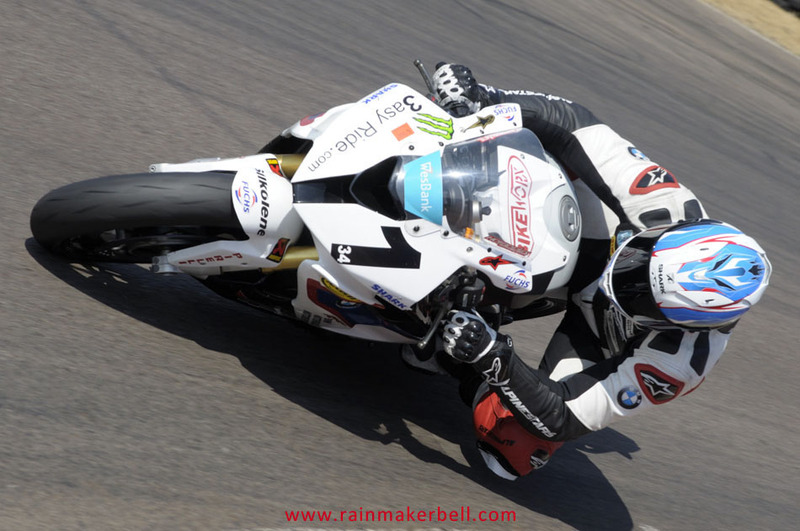 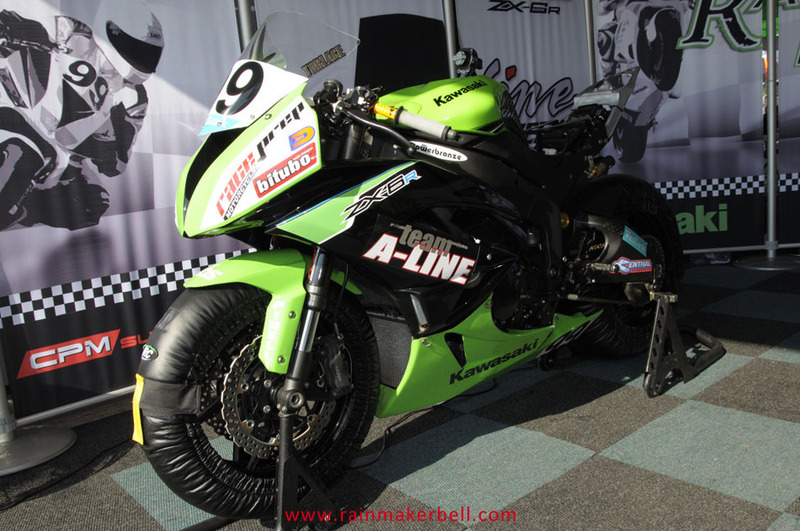 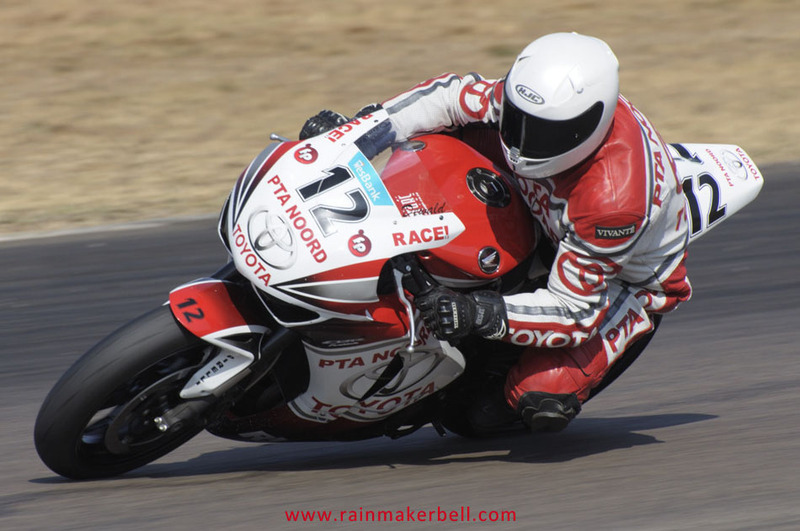 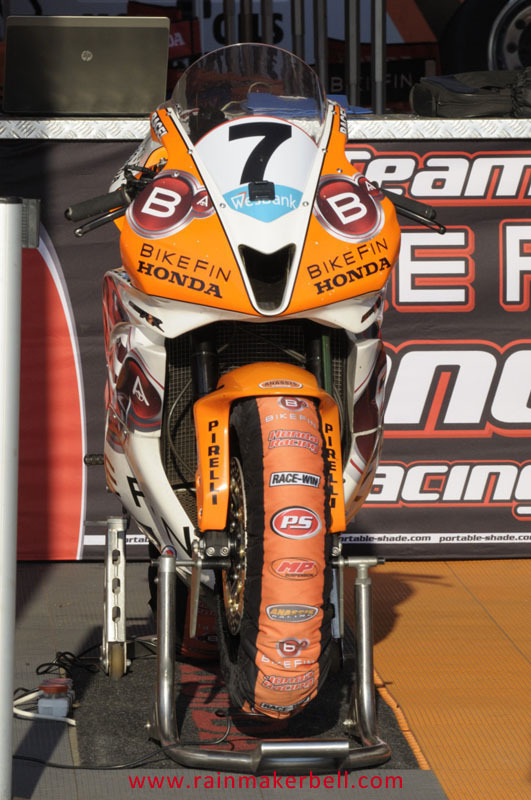 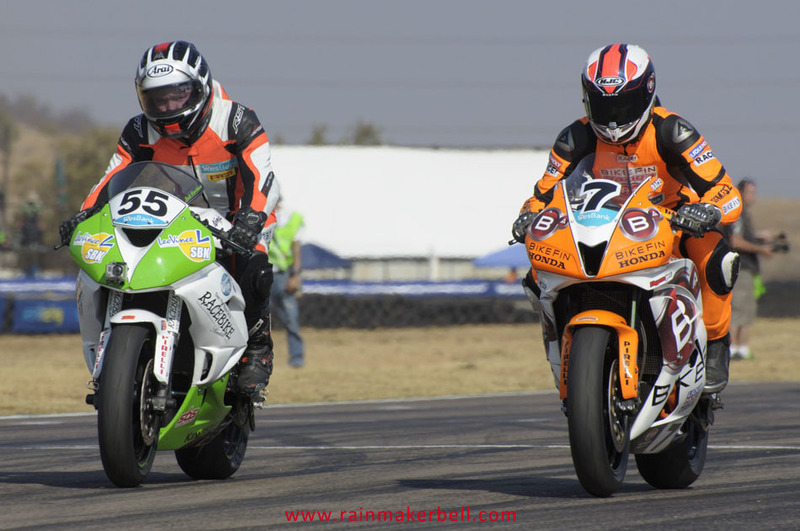 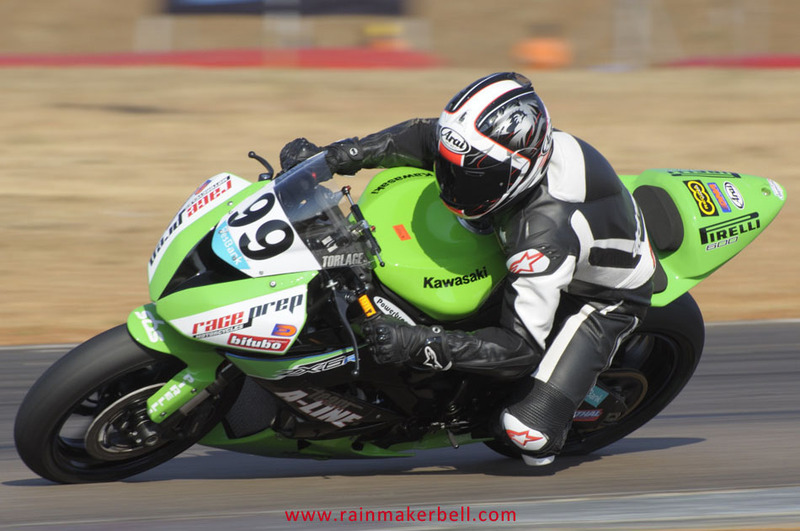 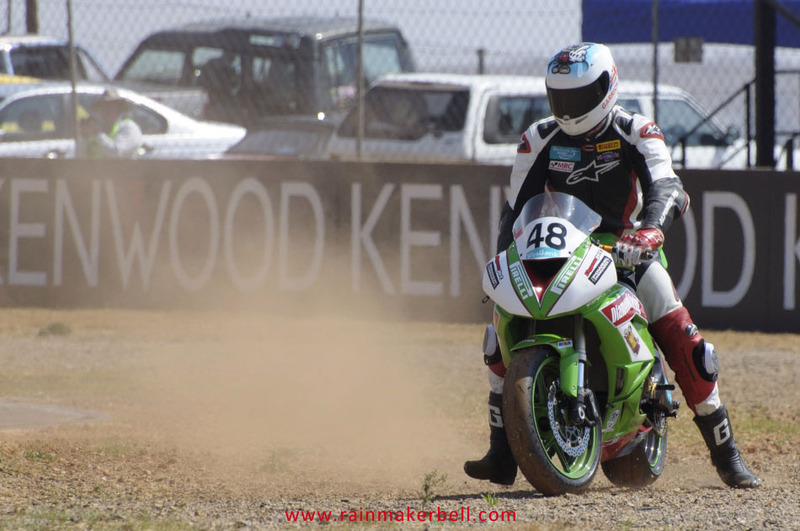 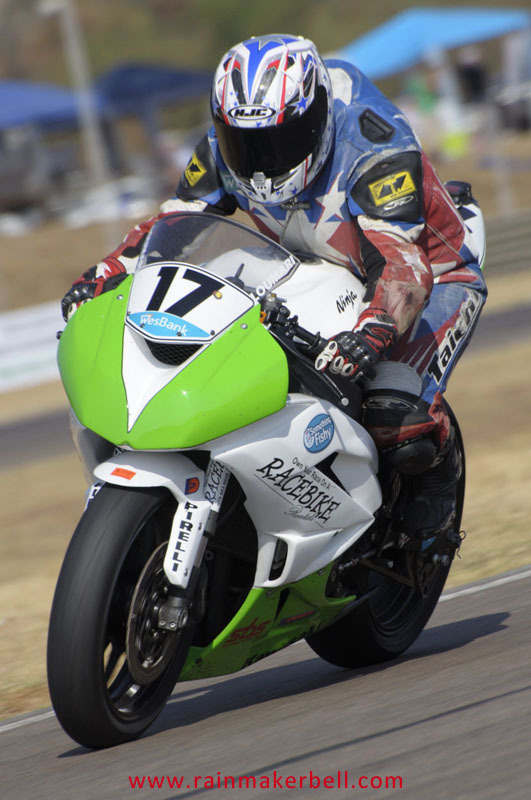 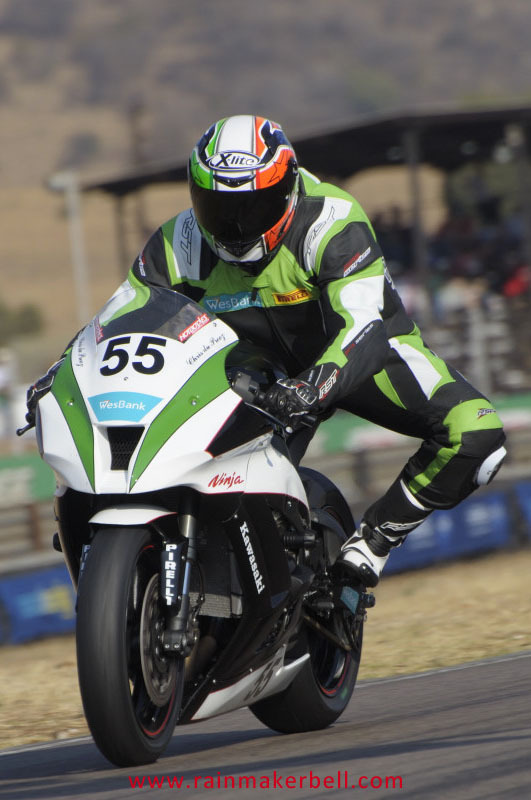 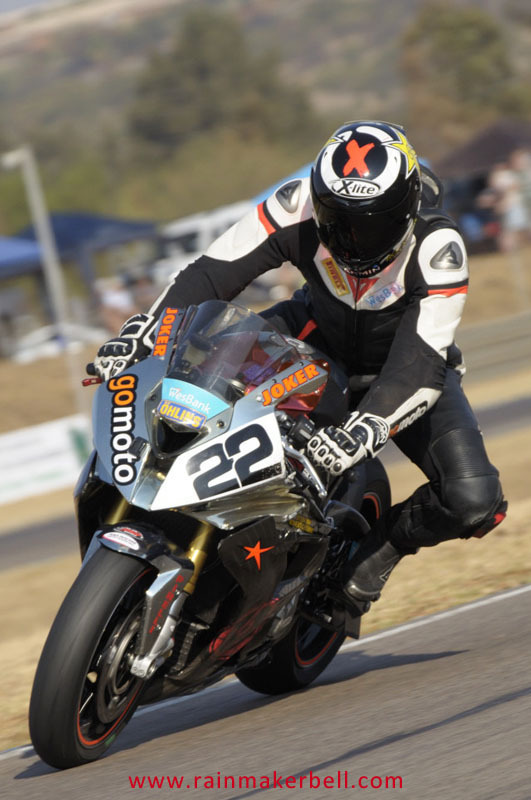 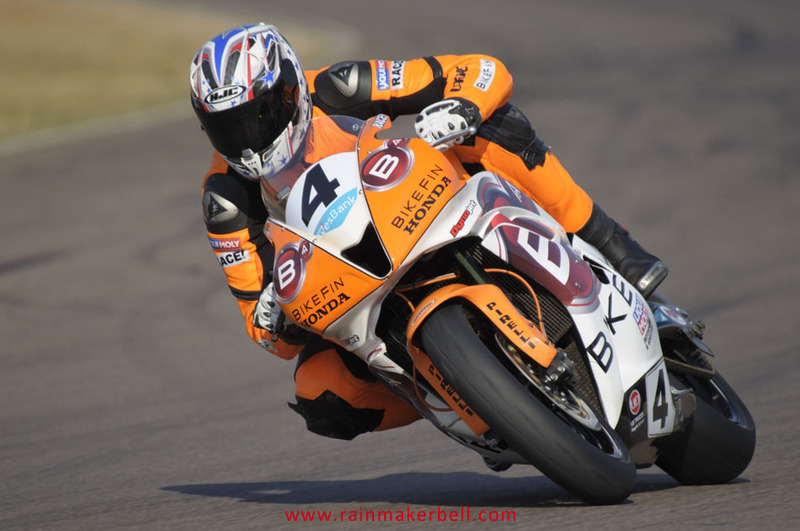 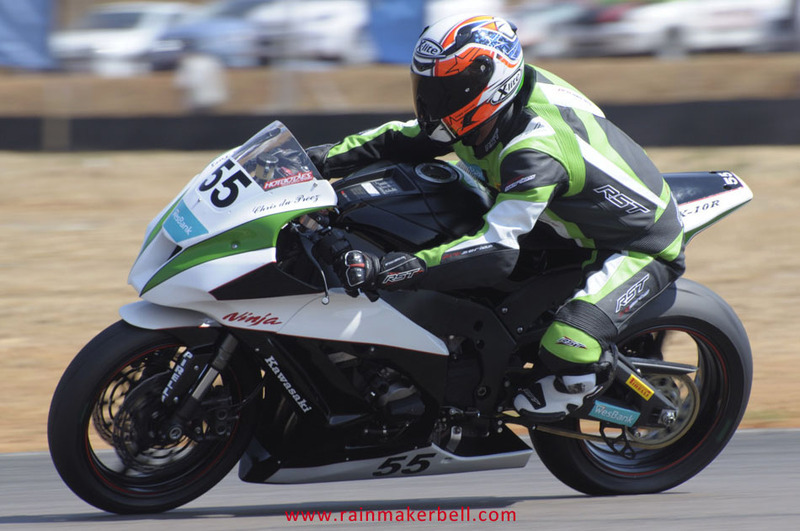 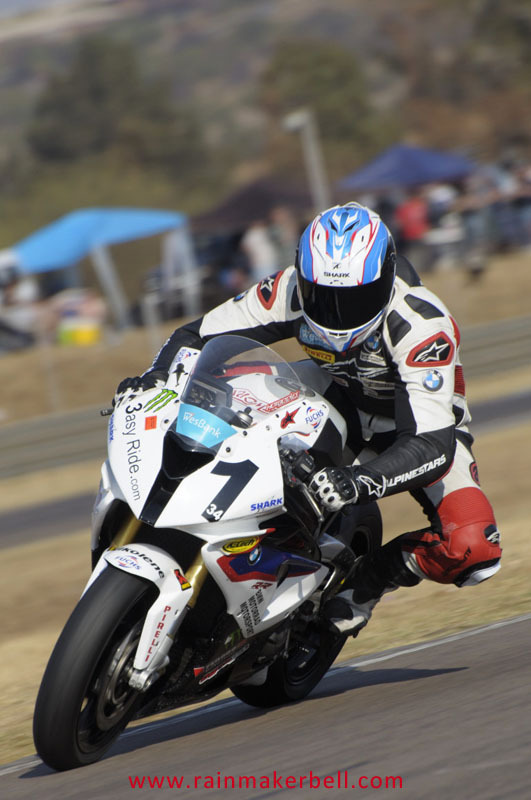 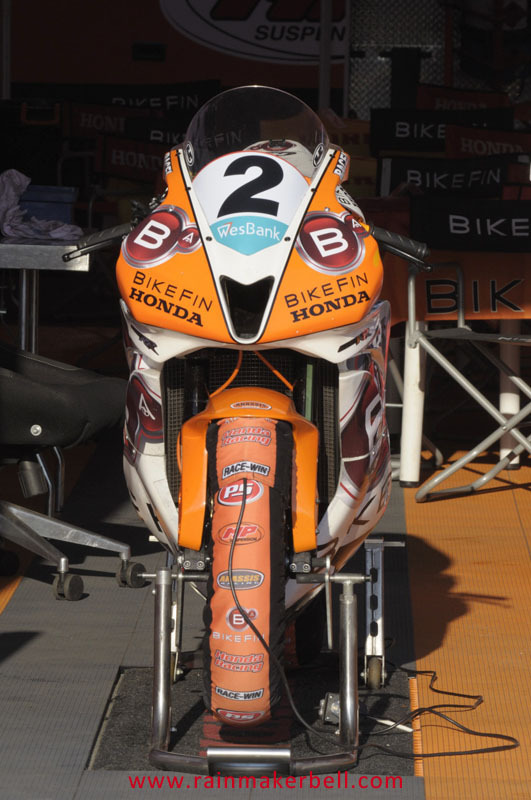 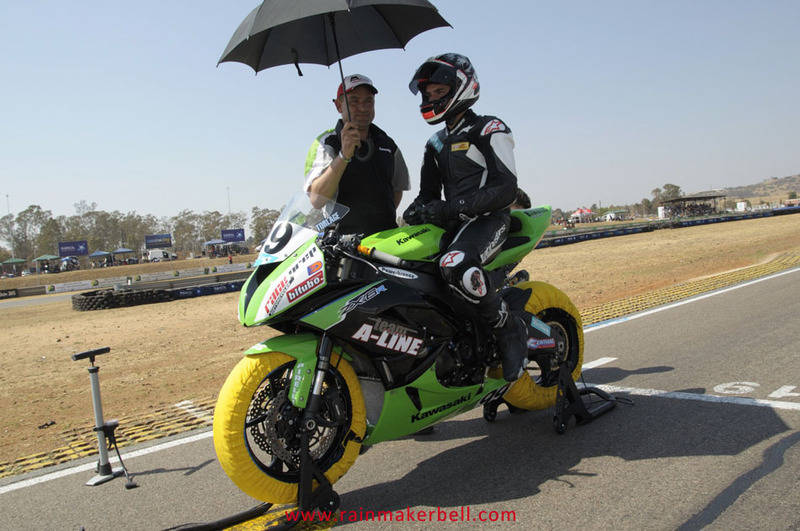 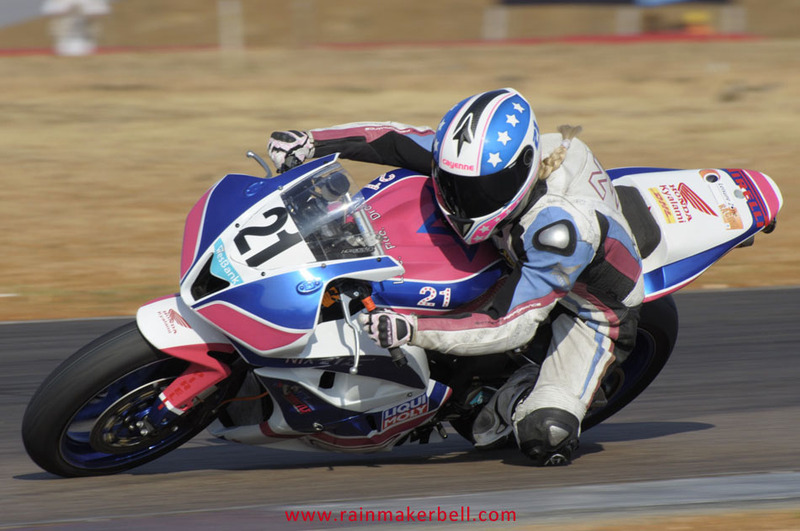 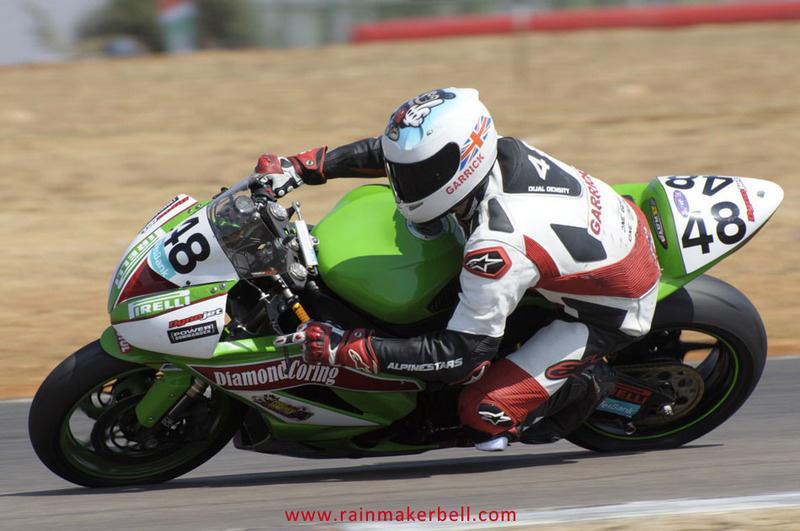 Superbike classes have specific rules that govern the race fraternity. 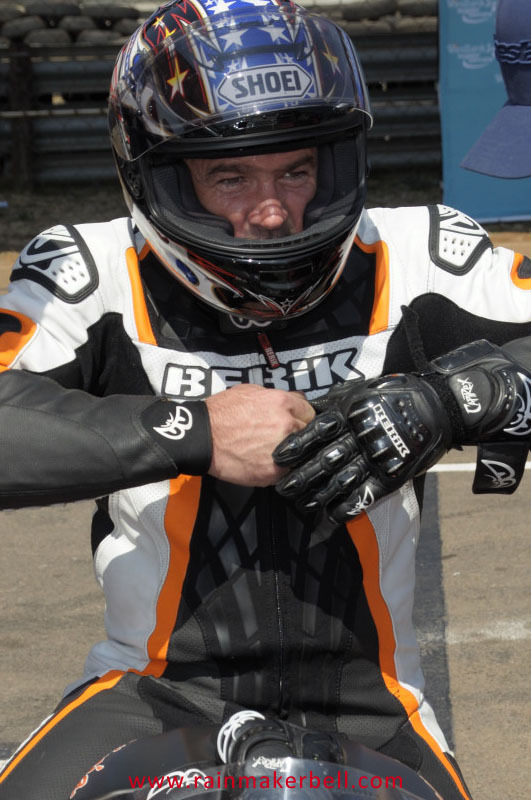 The chopping and changing of specs (or parts) to suit your own liking is not allowed, explained a Ducati technician to me (on Friday). 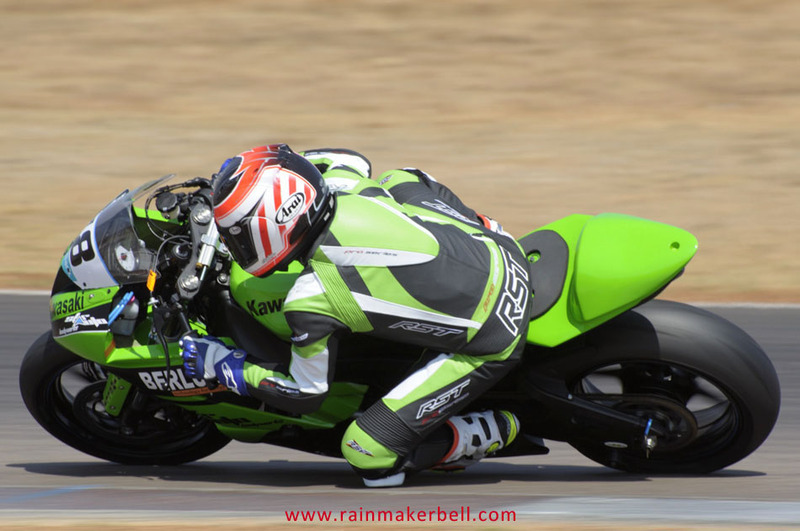 With the heat running at such high temperatures, the subsequent effect is loss of power (kW), resulting in unsatisfactory lap times. 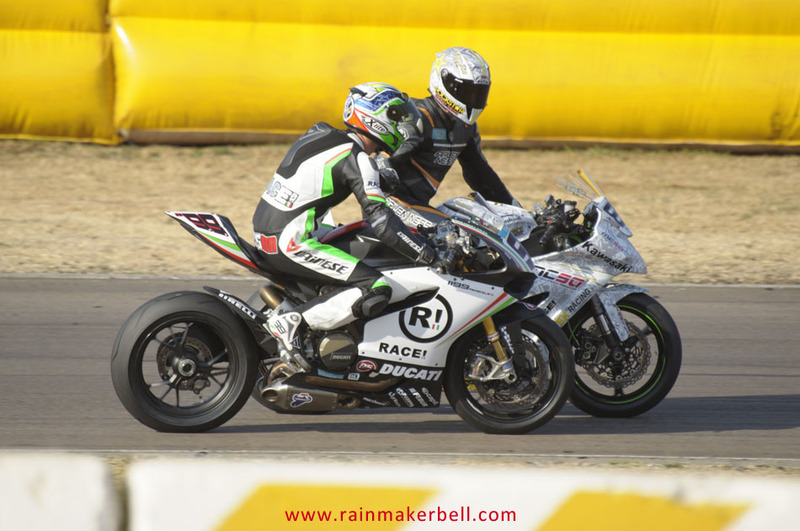 Lower ambient temperature equates to better performance and since they can’t add any extra and/or bigger radiators this will most probably strain the Ducati, explained the well-educated man. 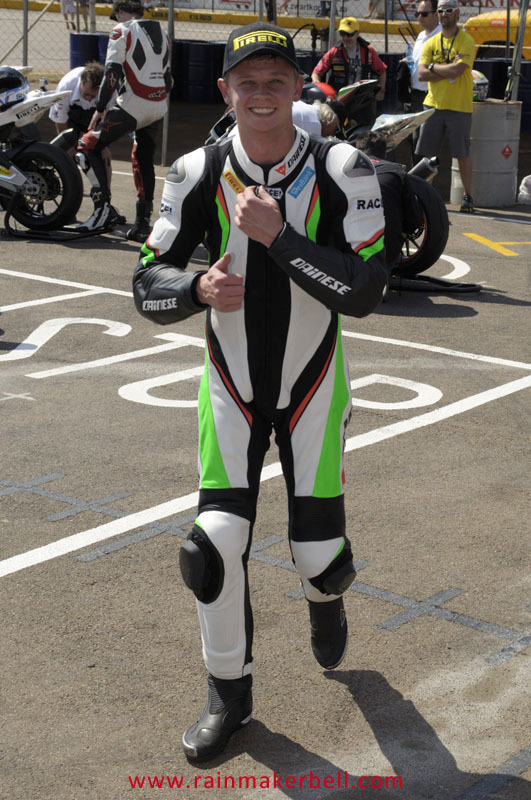 At the back of the garage the friendly Chris Leeson waited expectantly in his new race suit. 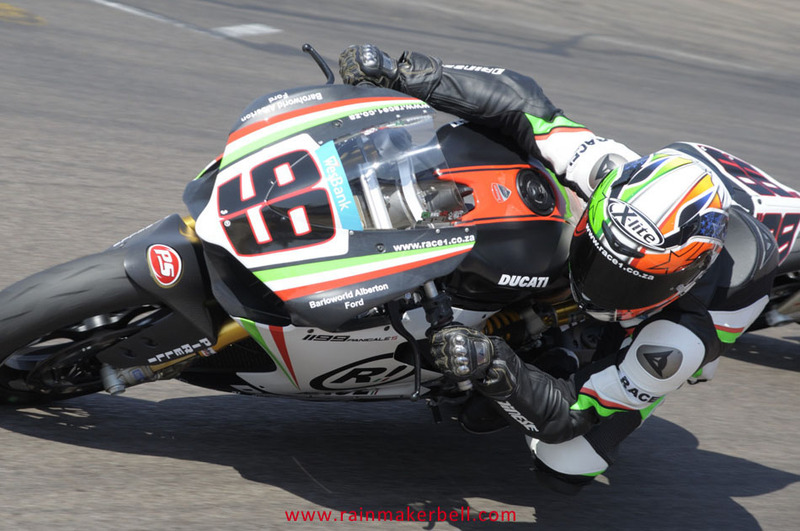 Sleek red and green lines on a brilliant white background flowed effortlessly from scoot jockey to the voluptuous body of the Ducati 1199 Panigale S; silver tyre warmers completed the spectacular appearance. 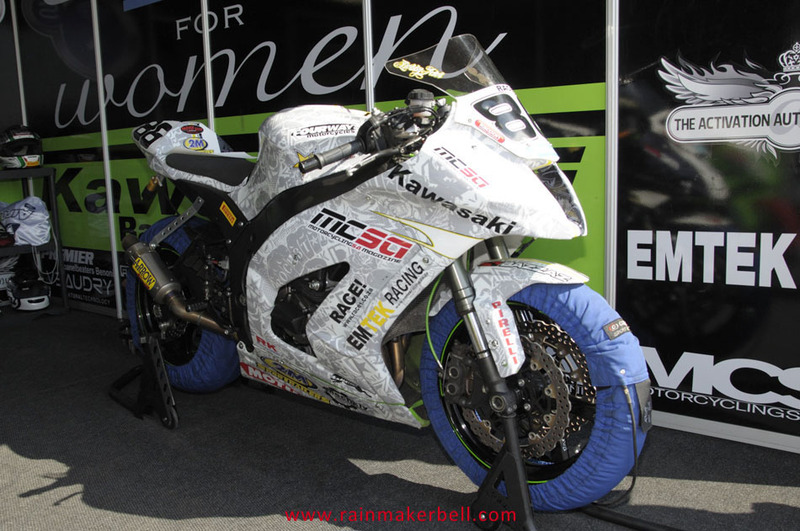 Umbrella girls on their uncomfortable high heels (blistered feet) and skimpy outfits gawked with envious eyes at this sleek race machine. 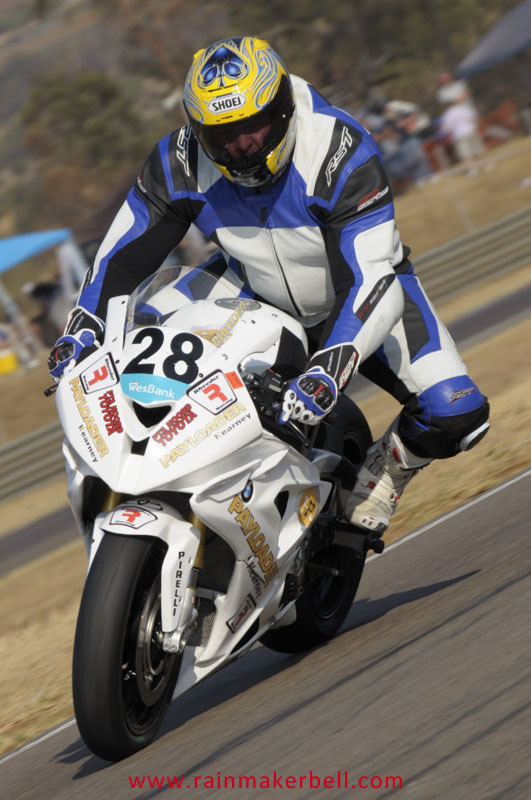 At a cost of R585 000, you too can look that good. 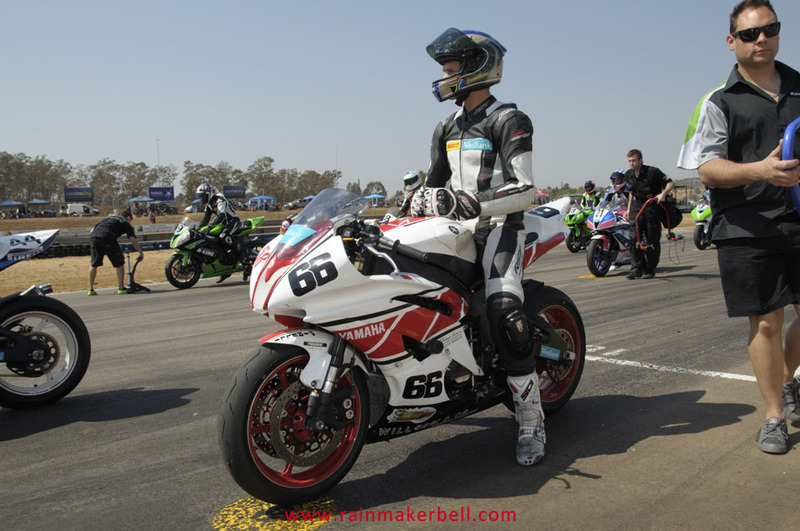 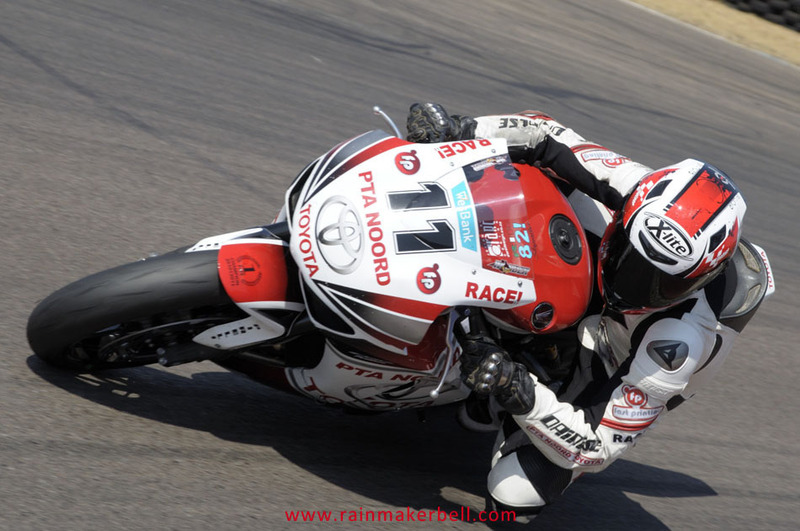 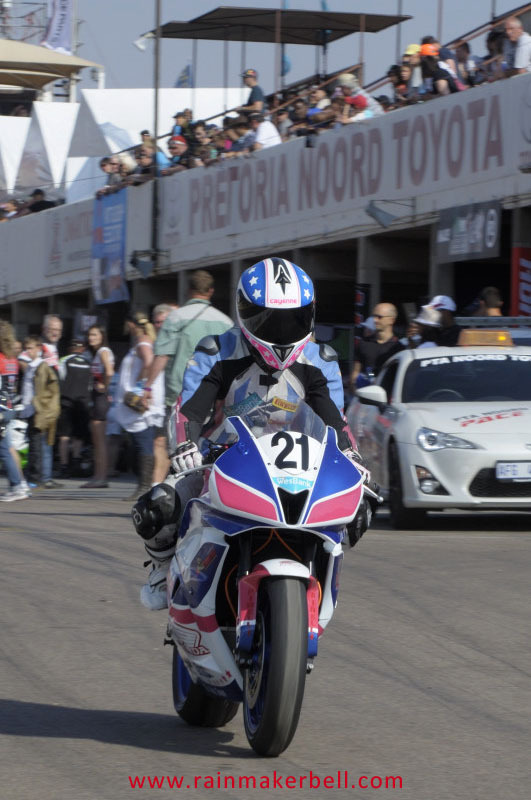 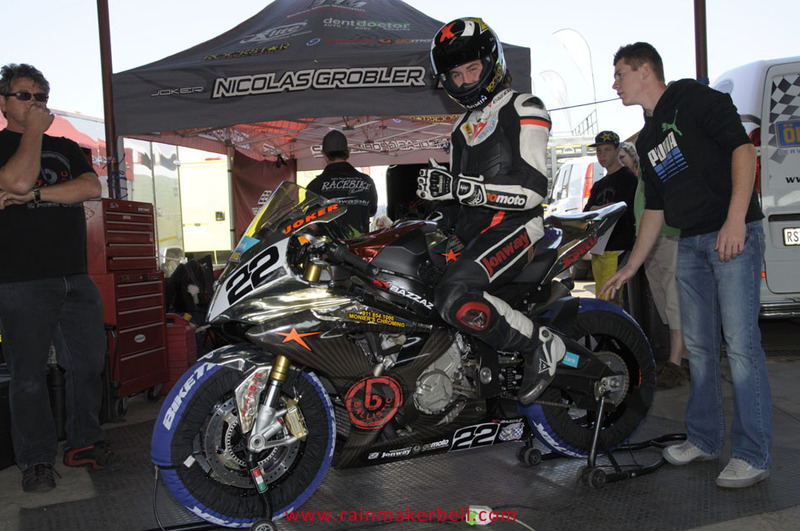 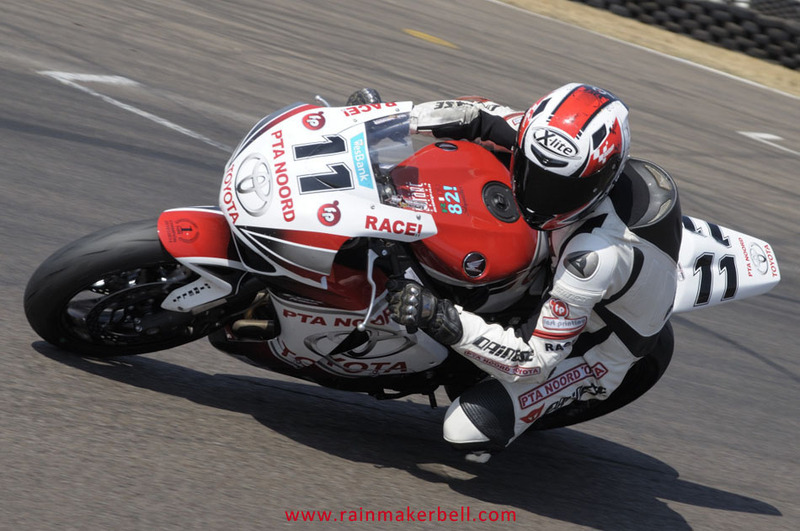 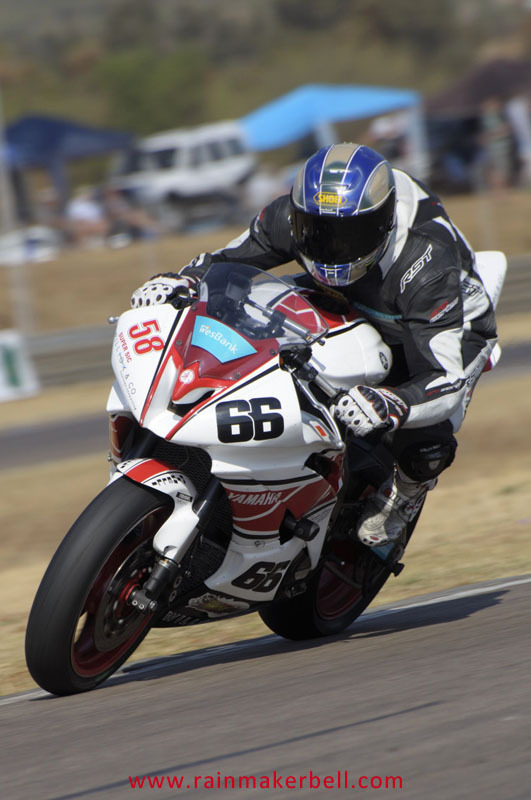 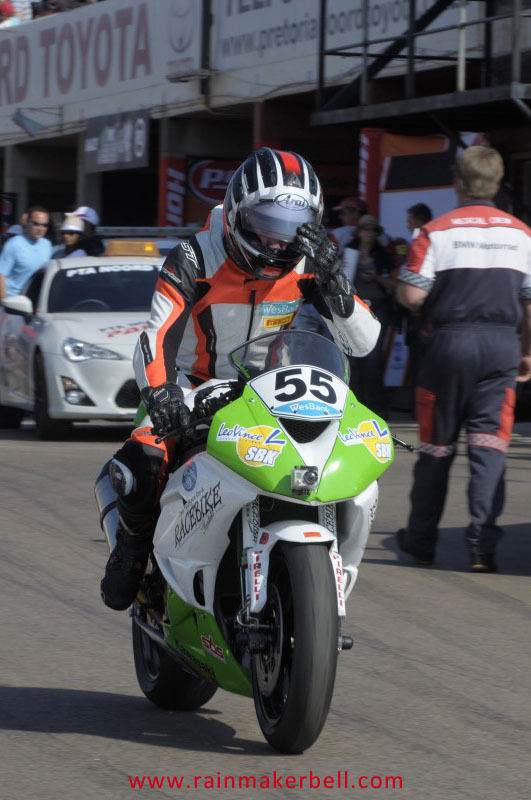 Words & Photos: Adriaan & Martine Venter (Wesbank Super Series, Zwartkops Raceway, South African Motorsport, 2012/08/25, 149 images) Main Image: Chris Leeson #99, Ducati 1199 Panigale S, Superbikes.